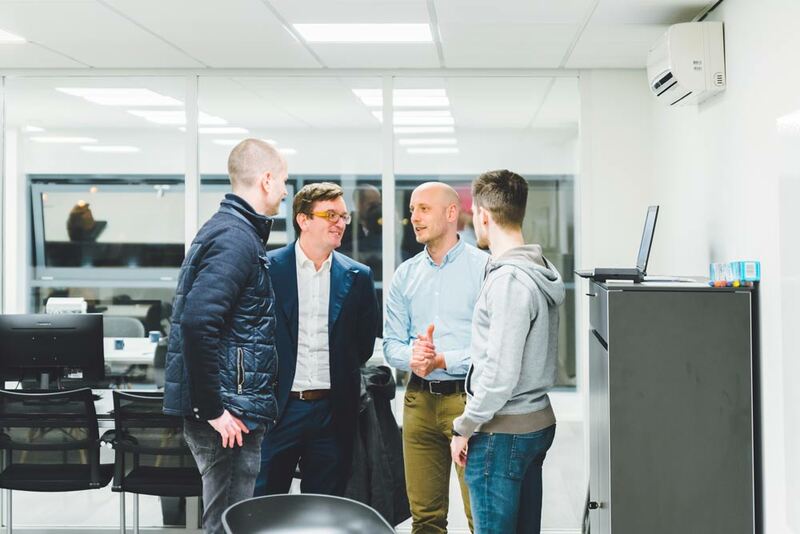 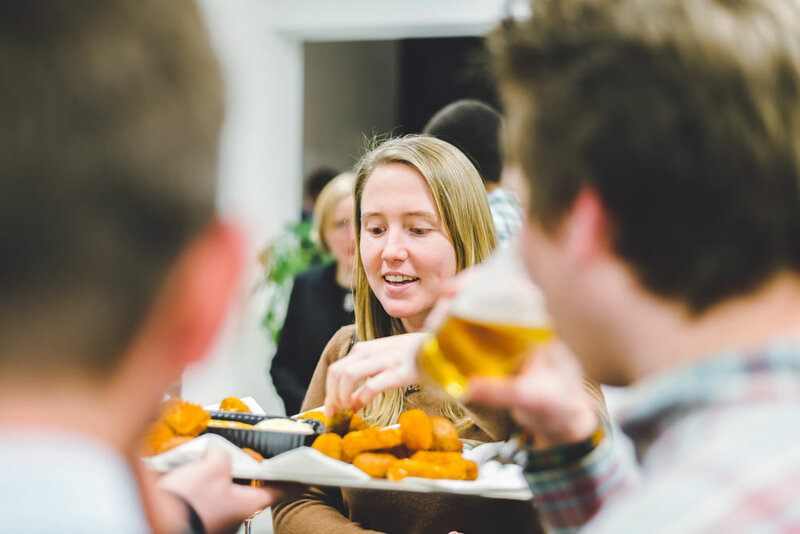 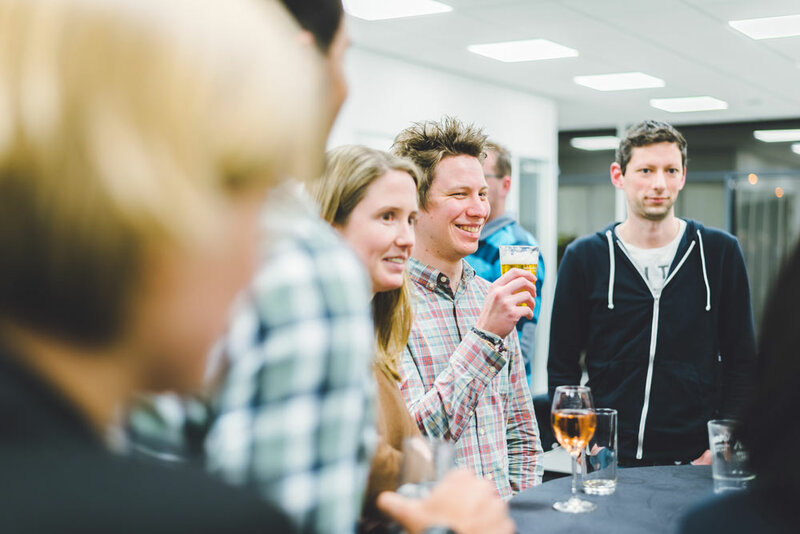 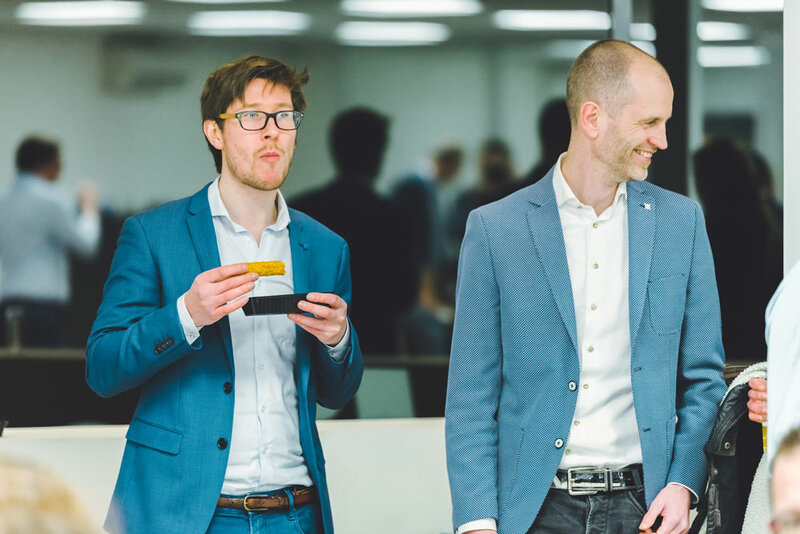 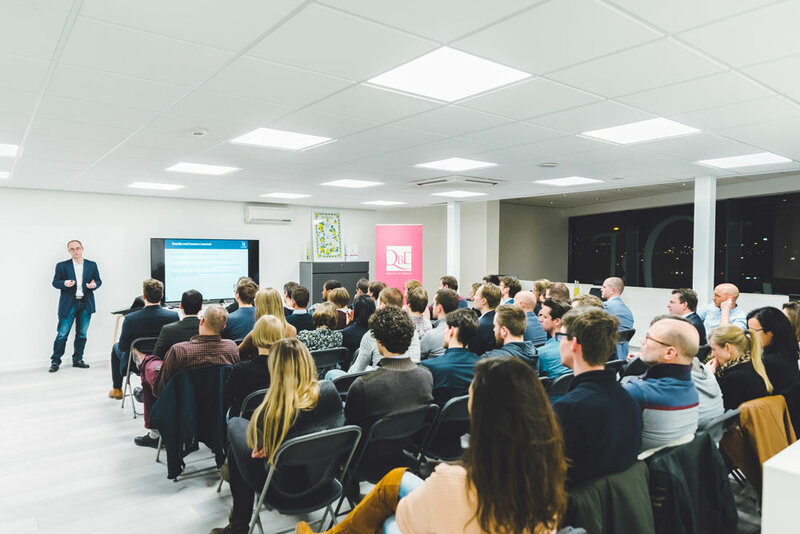 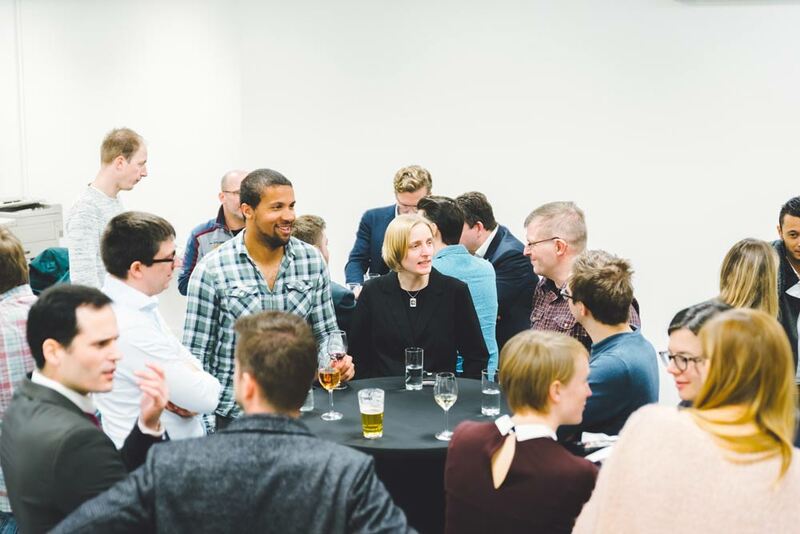 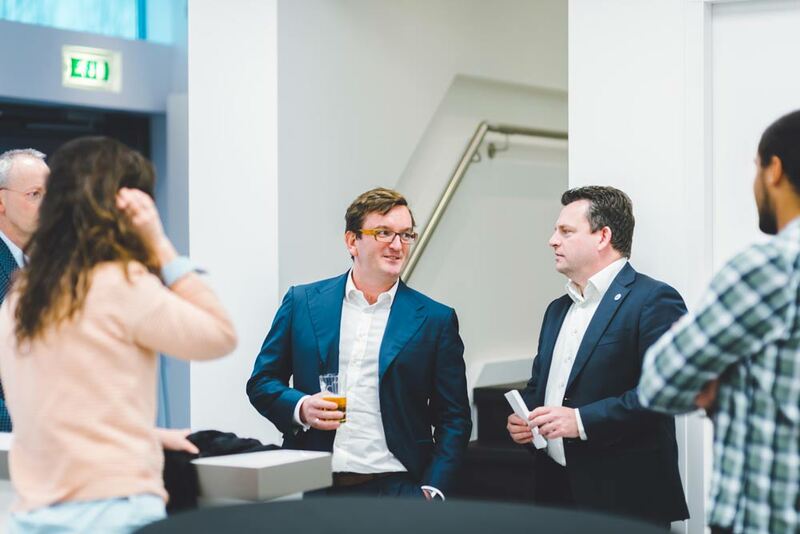 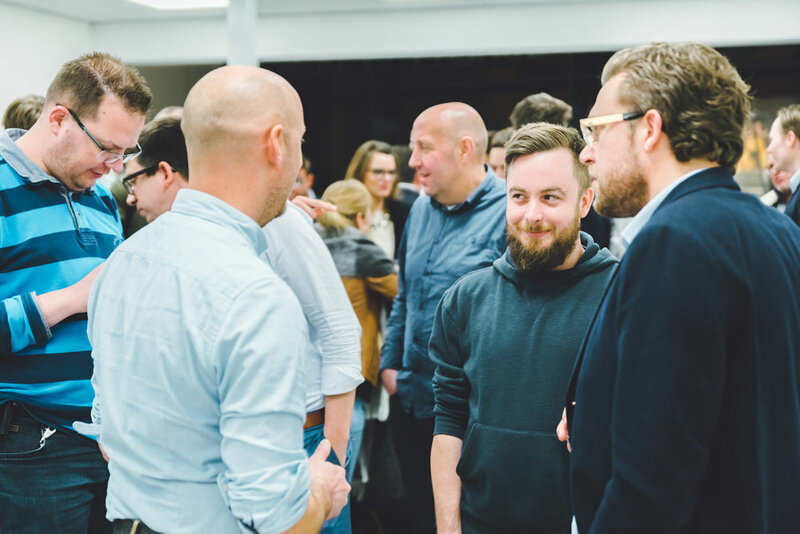 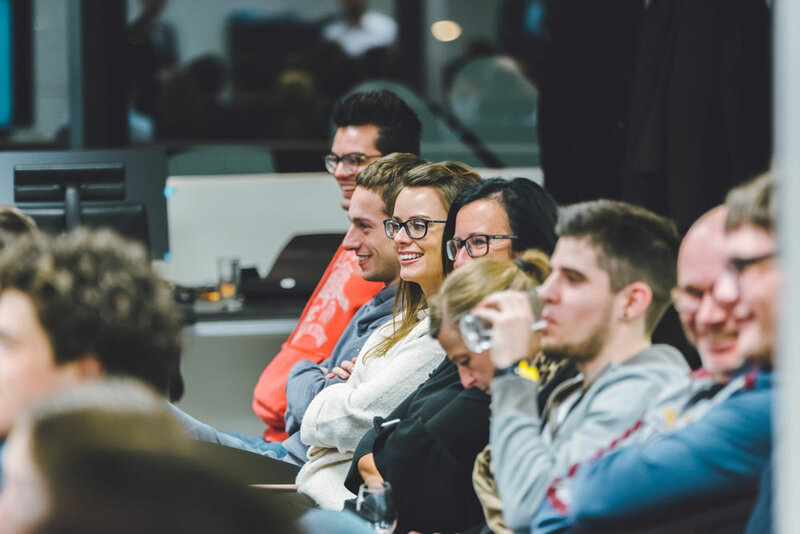 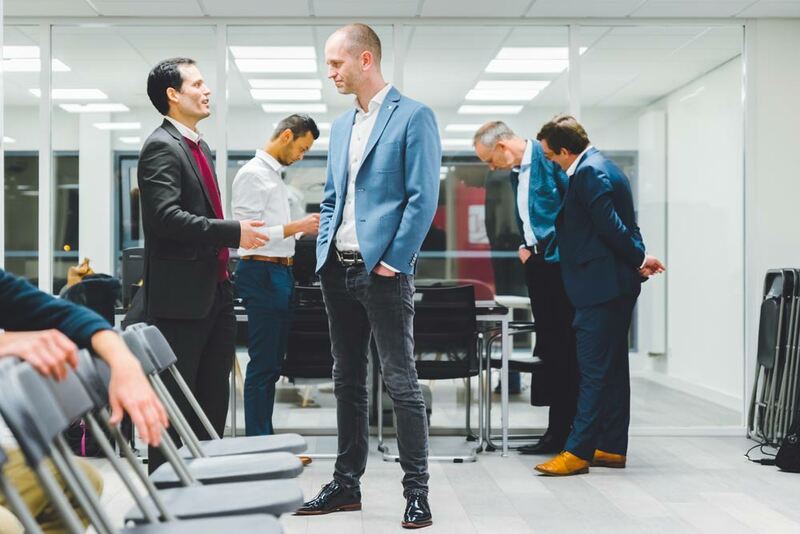 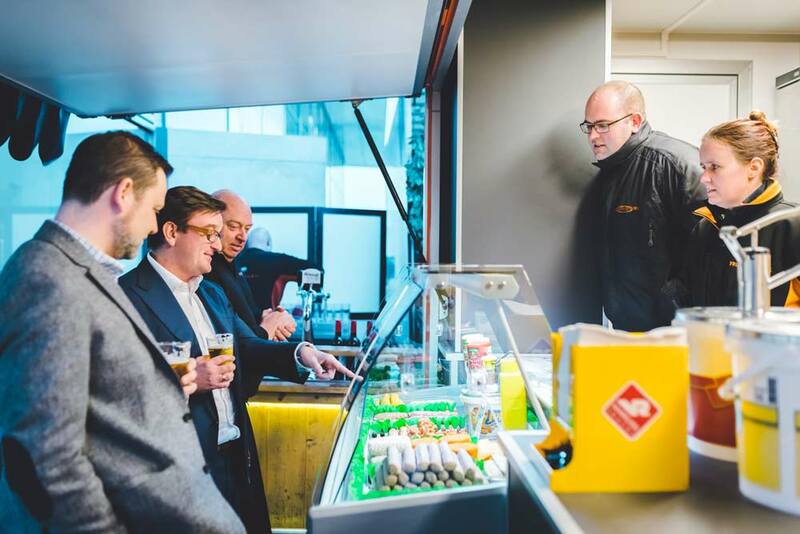 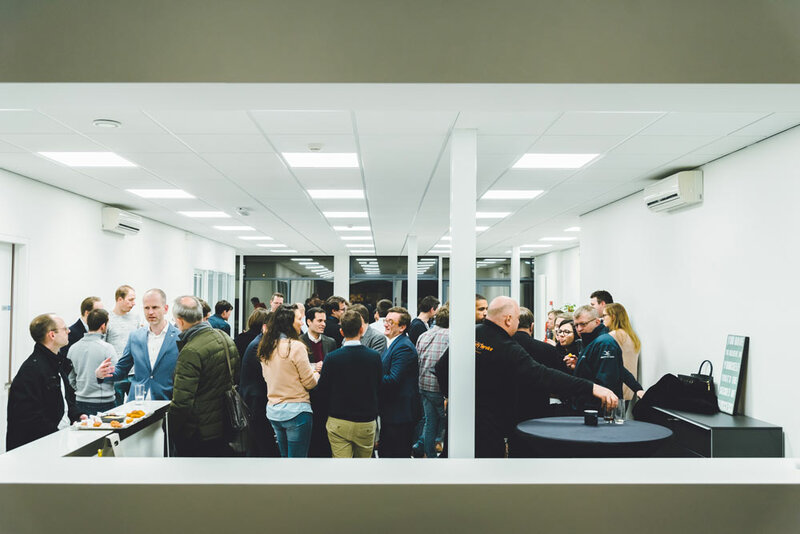 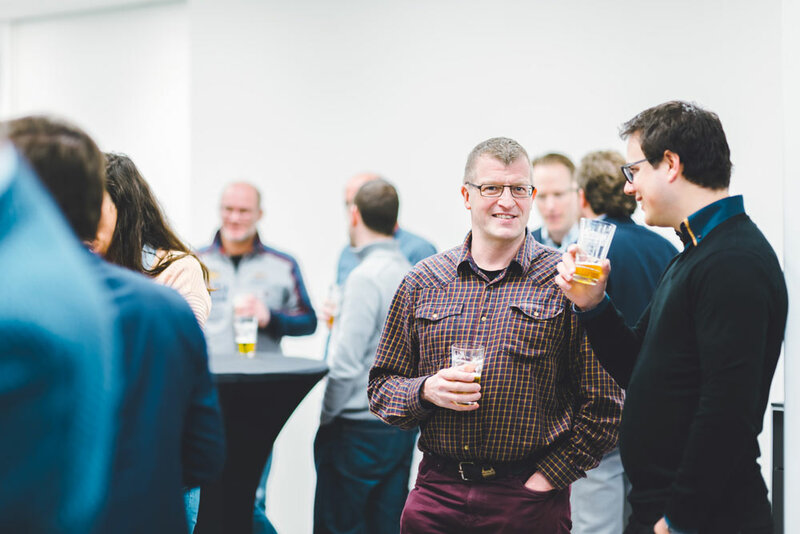 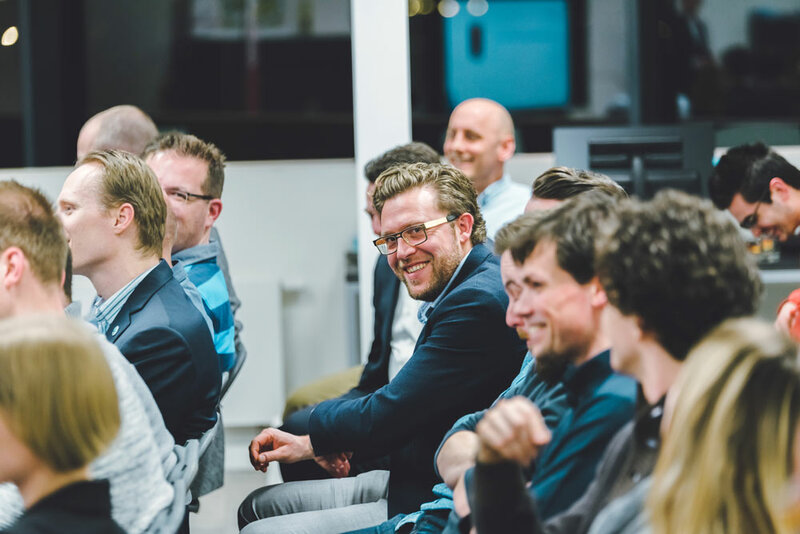 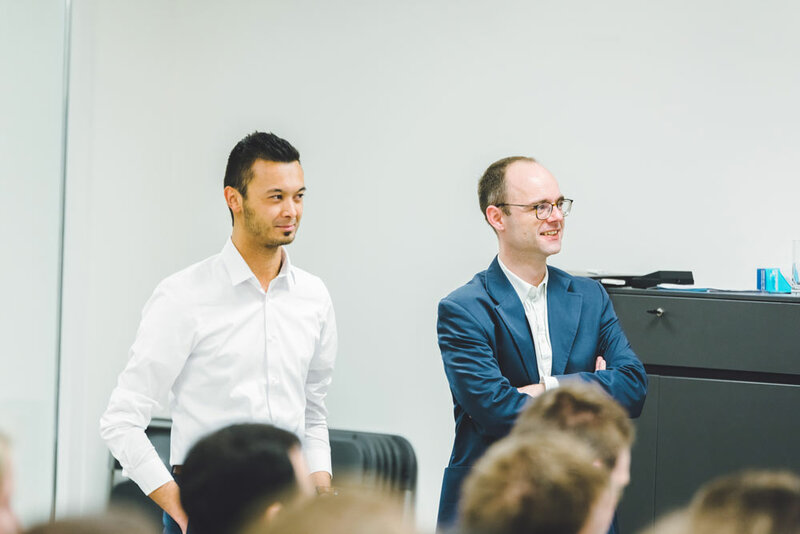 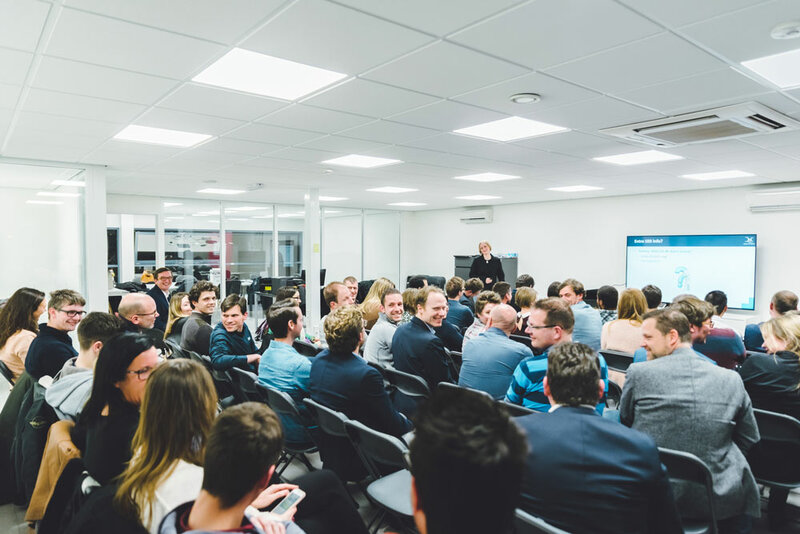 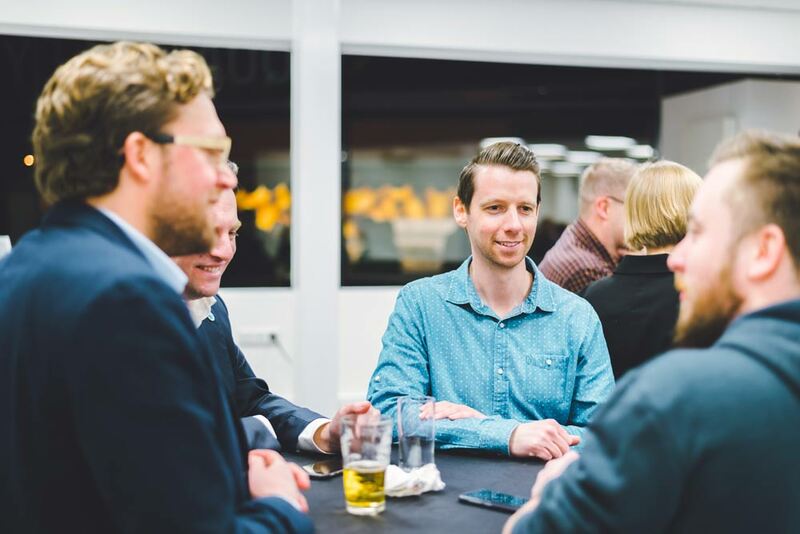 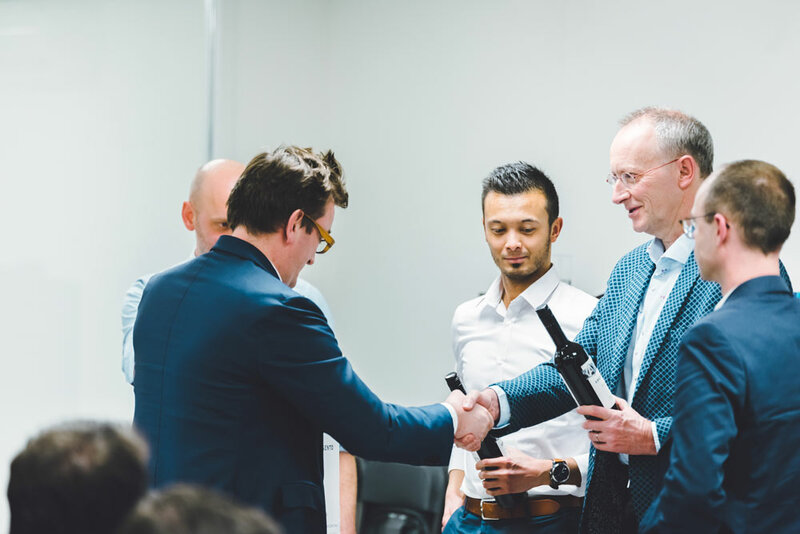 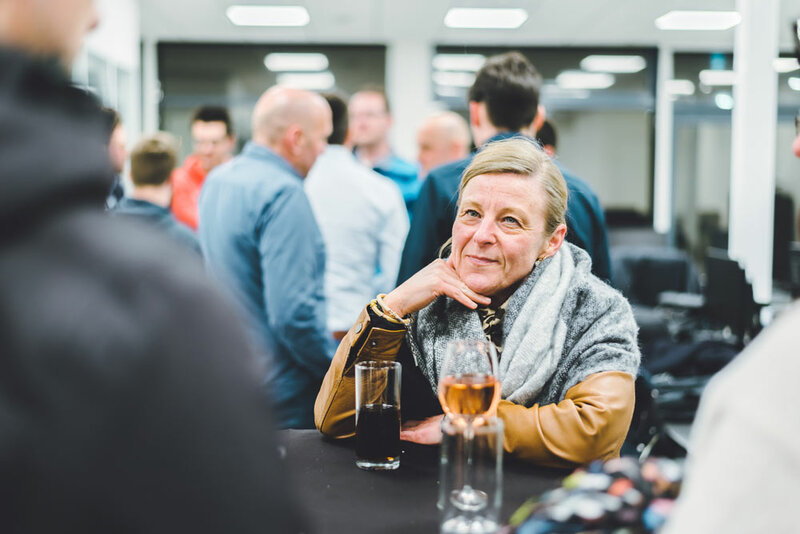 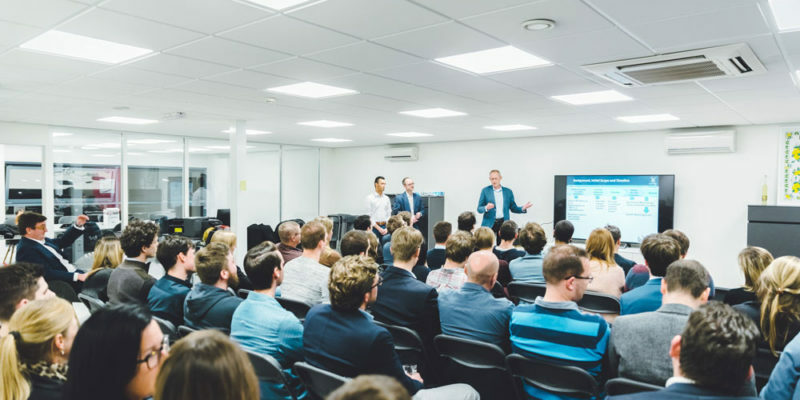 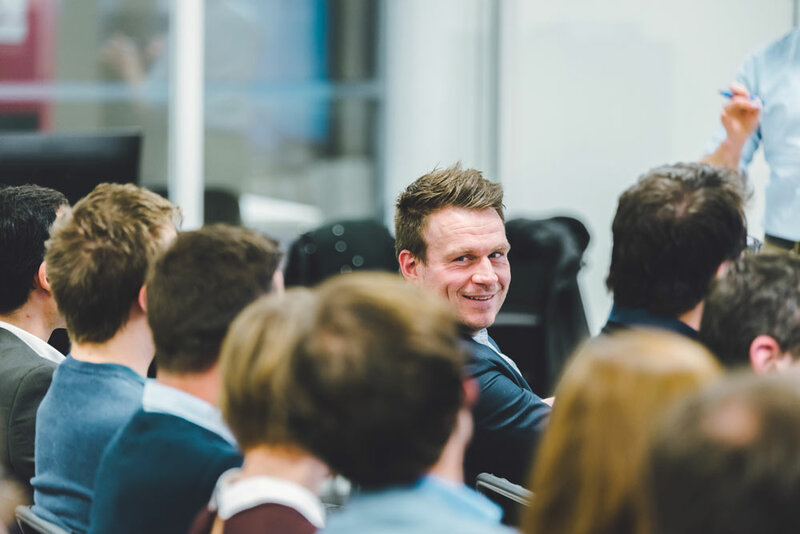 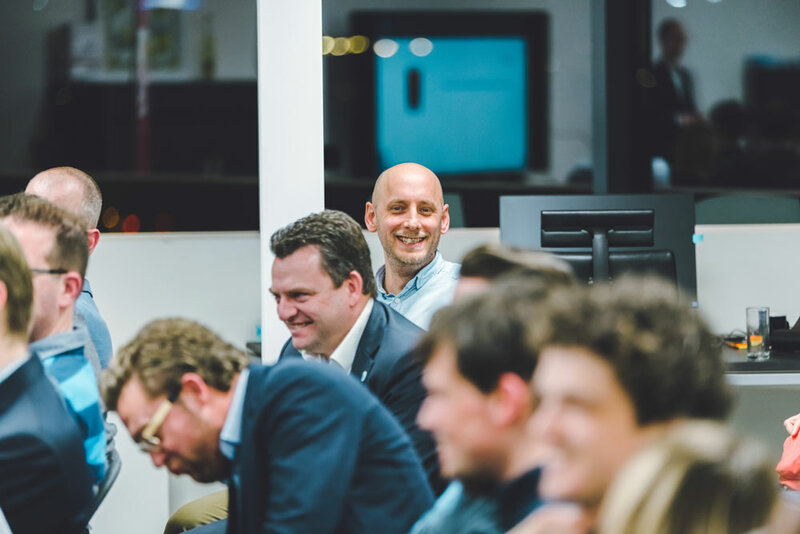 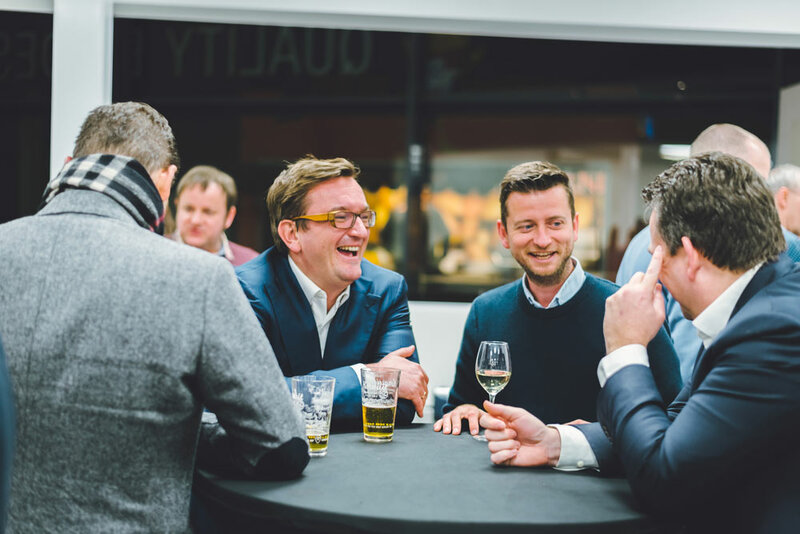 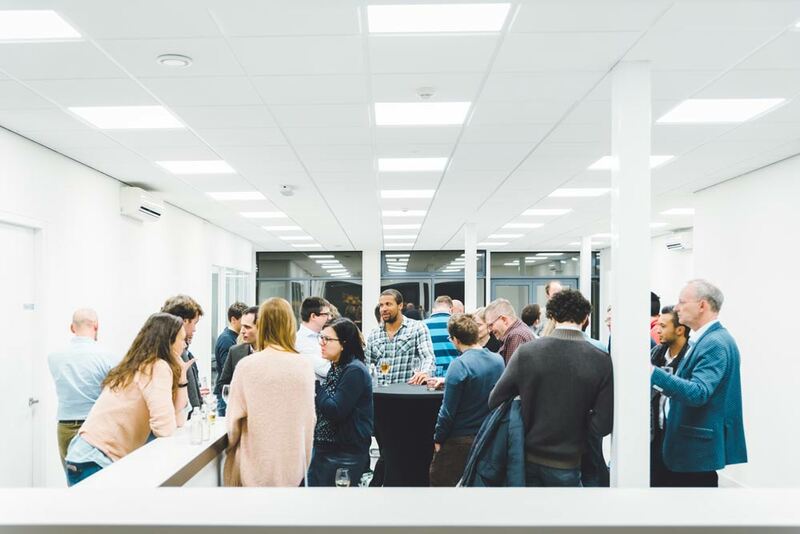 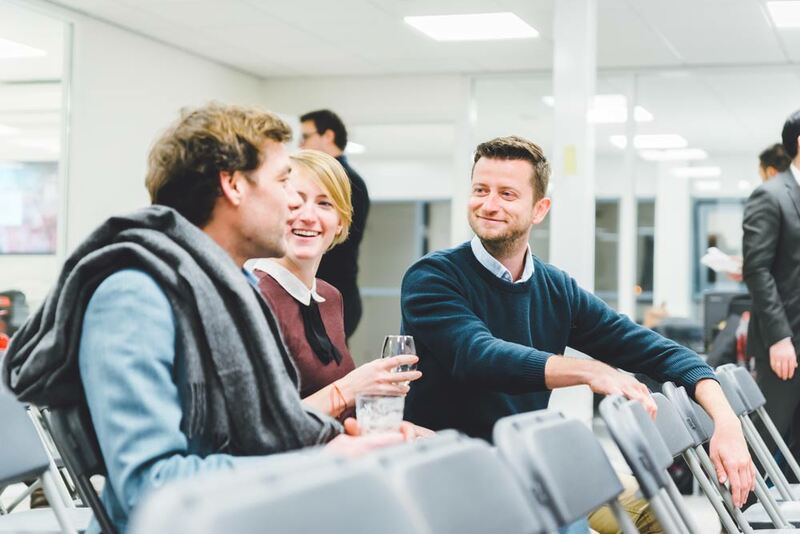 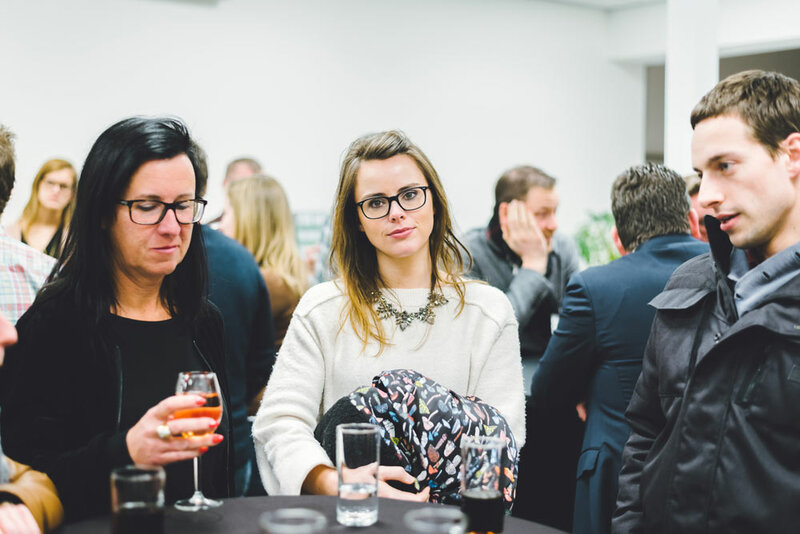 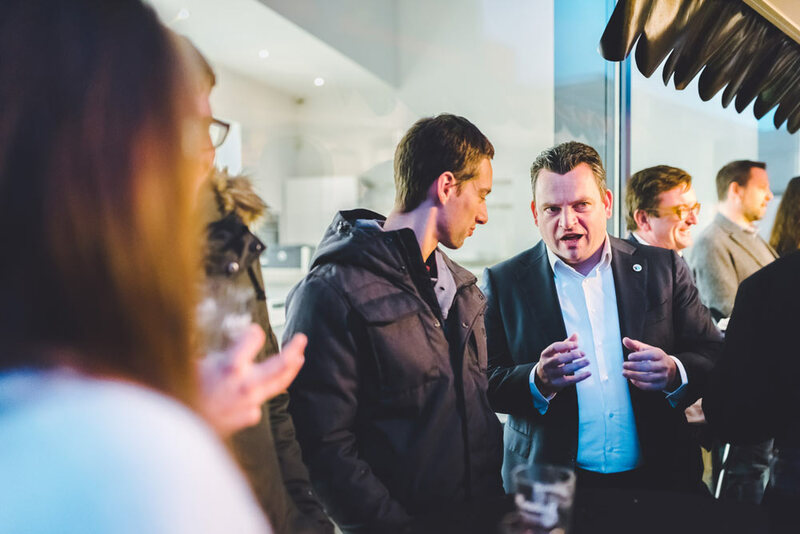 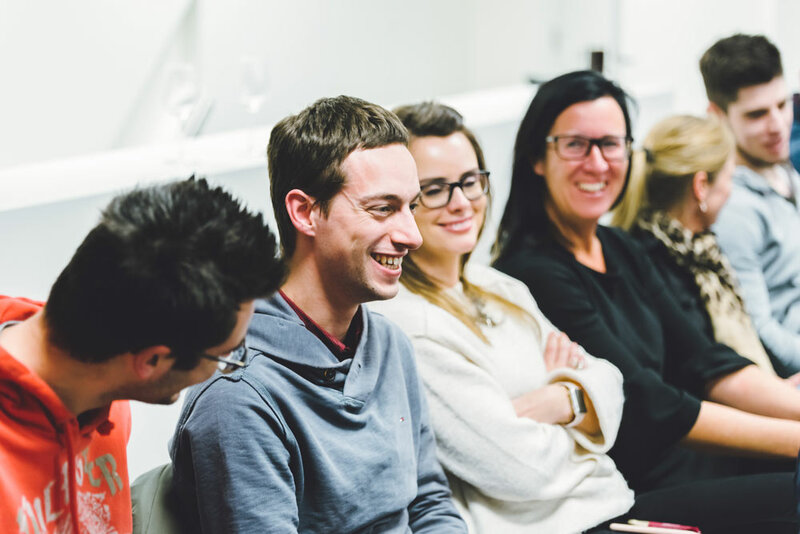 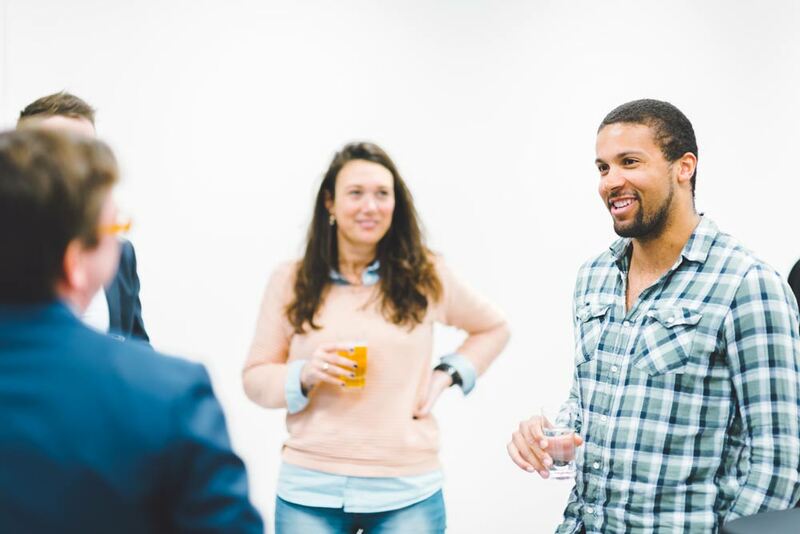 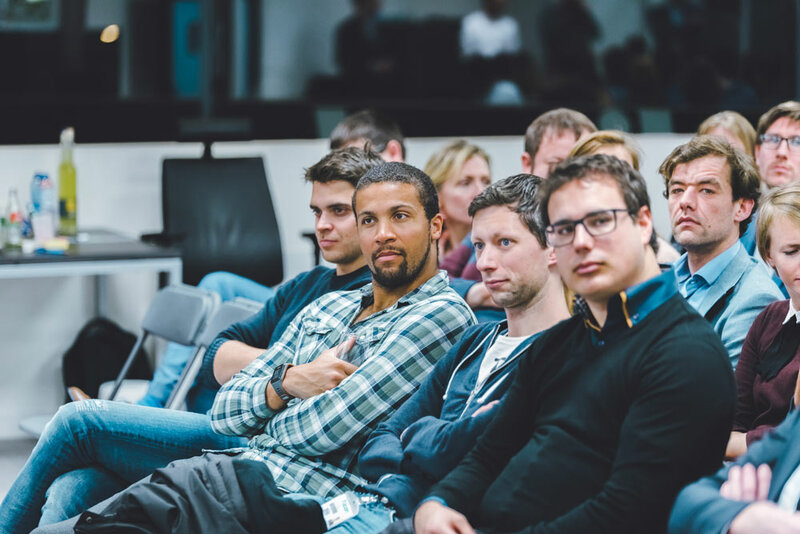 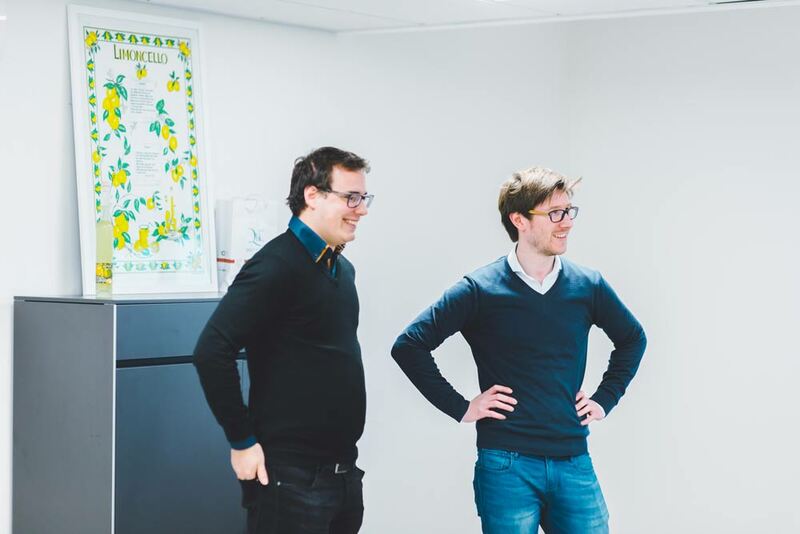 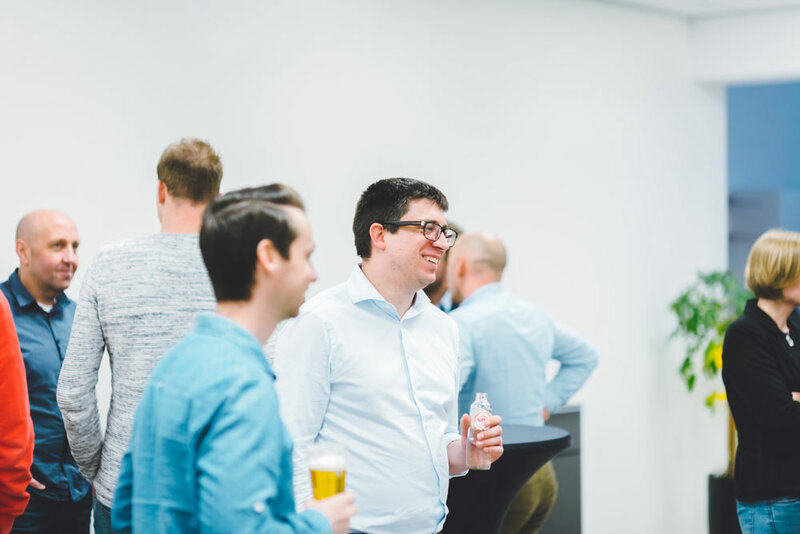 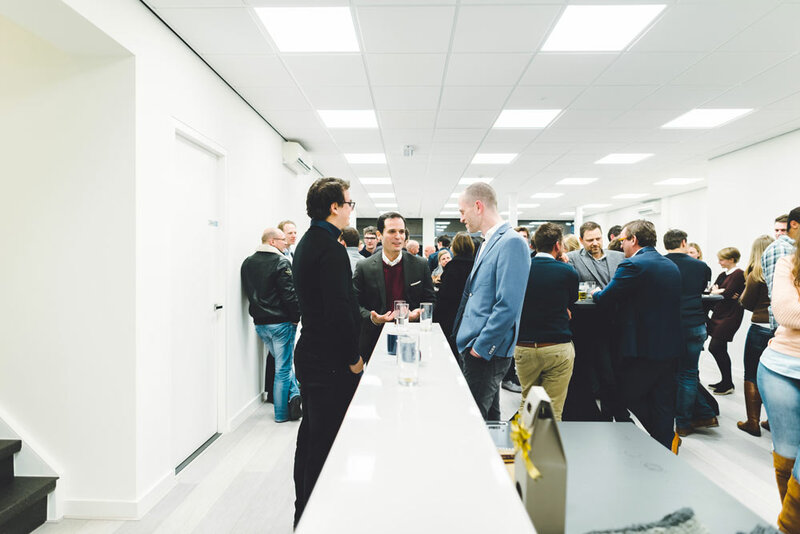 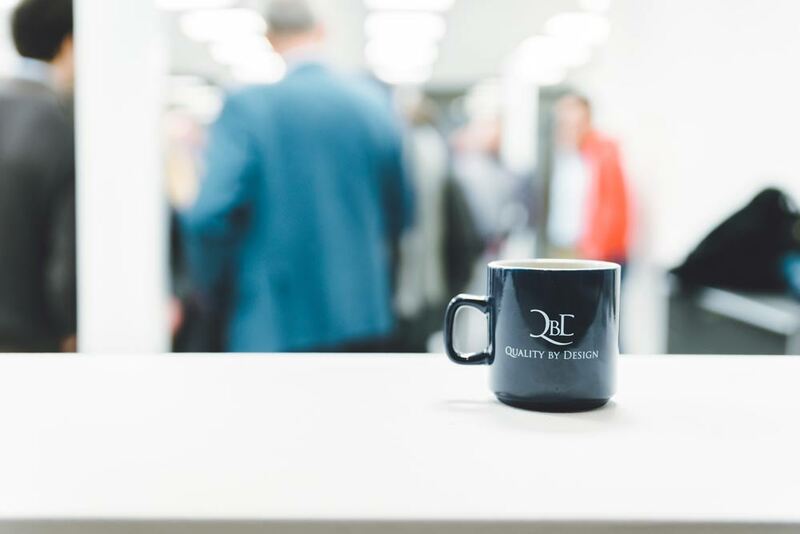 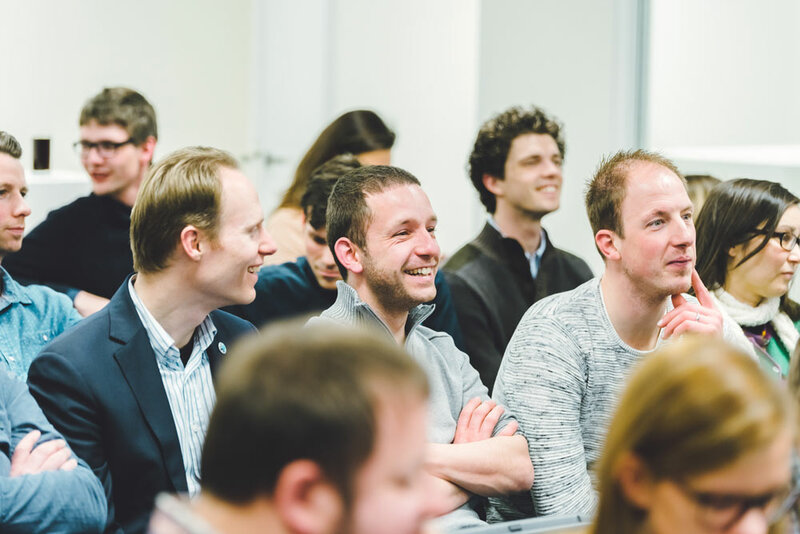 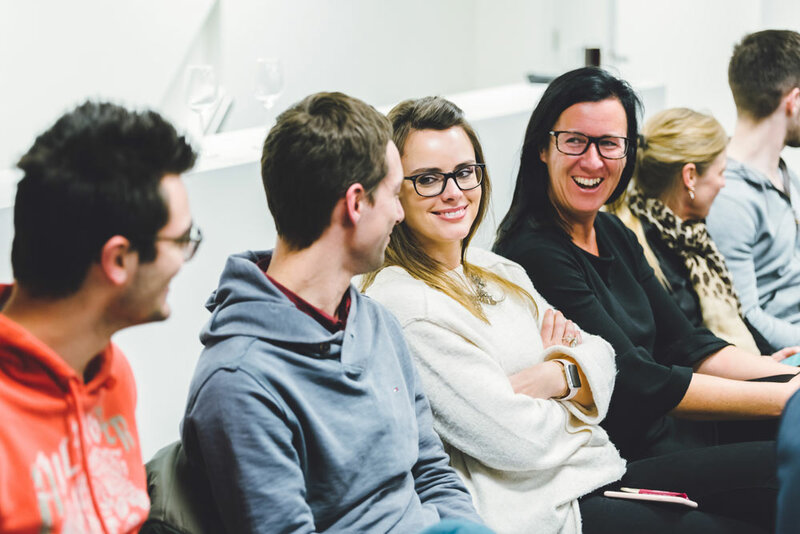 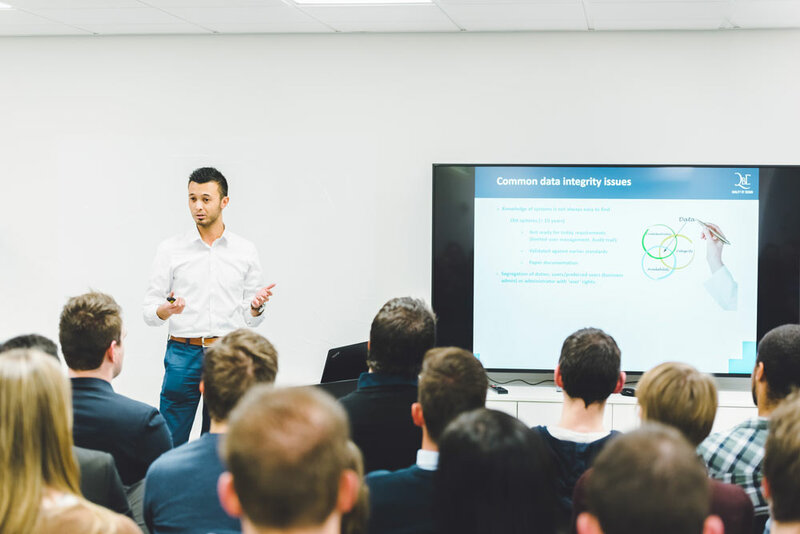 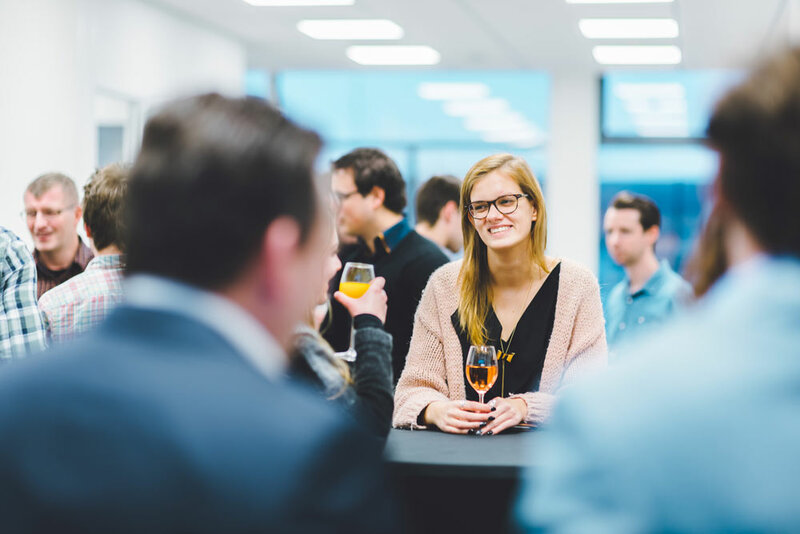 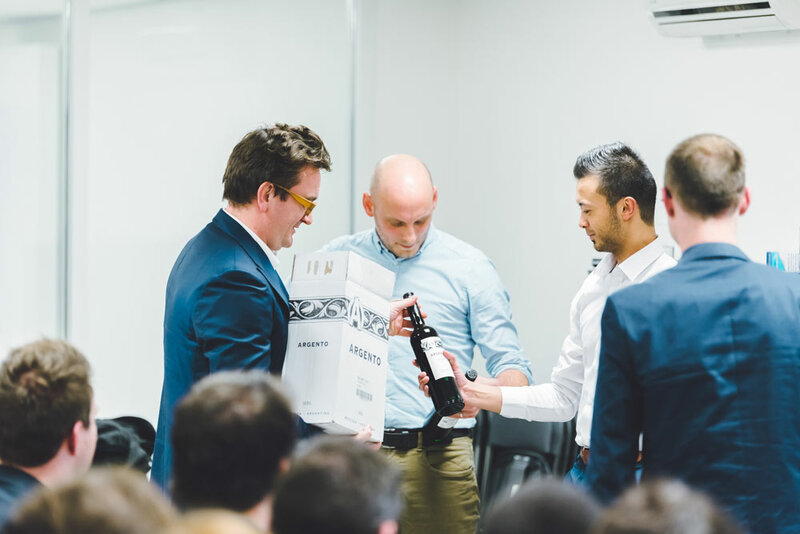 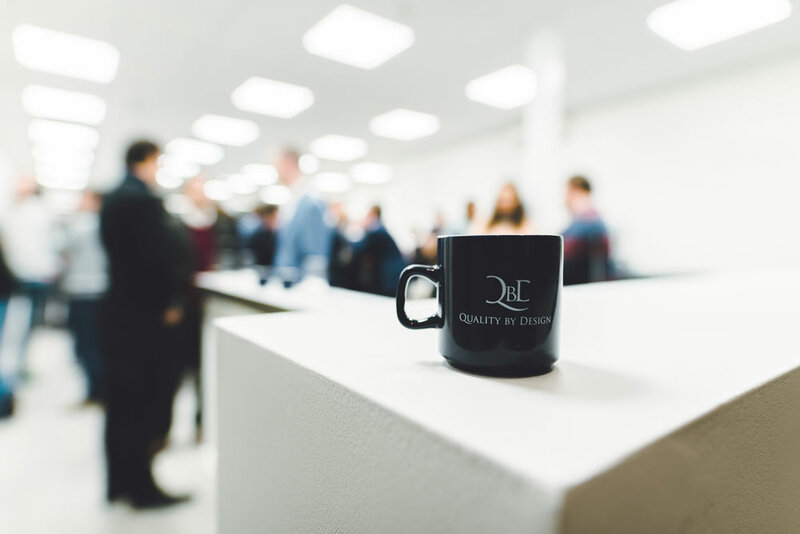 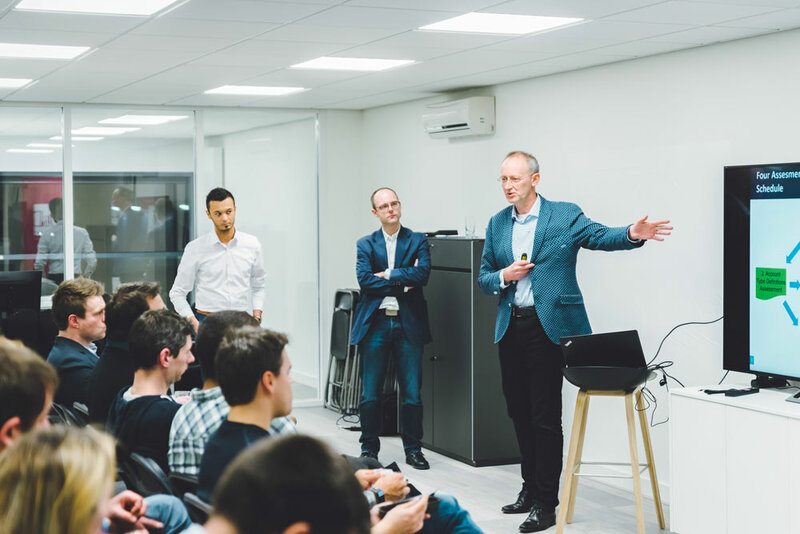 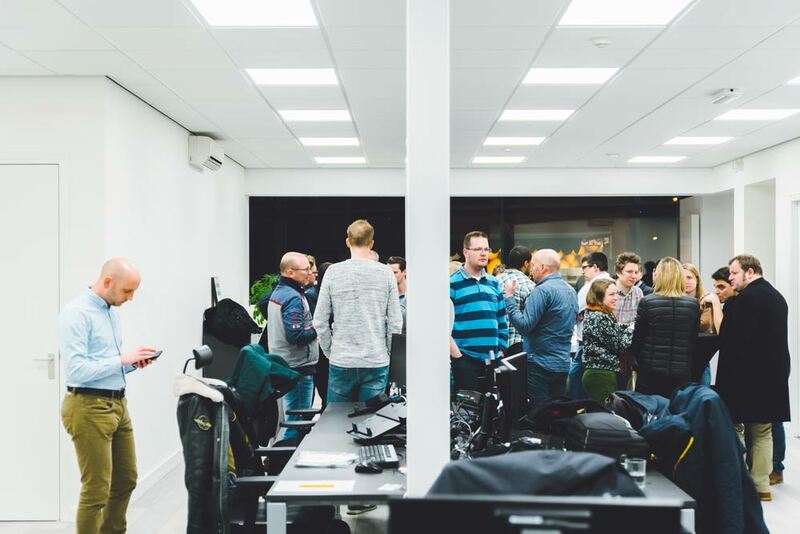 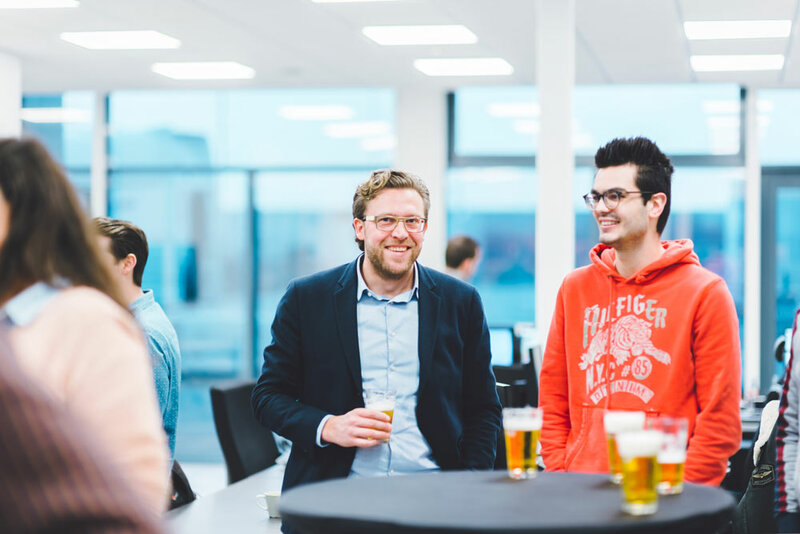 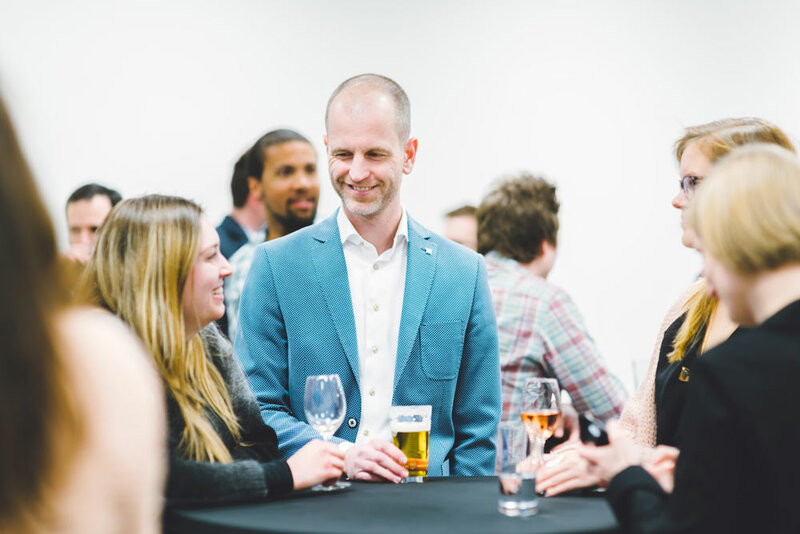 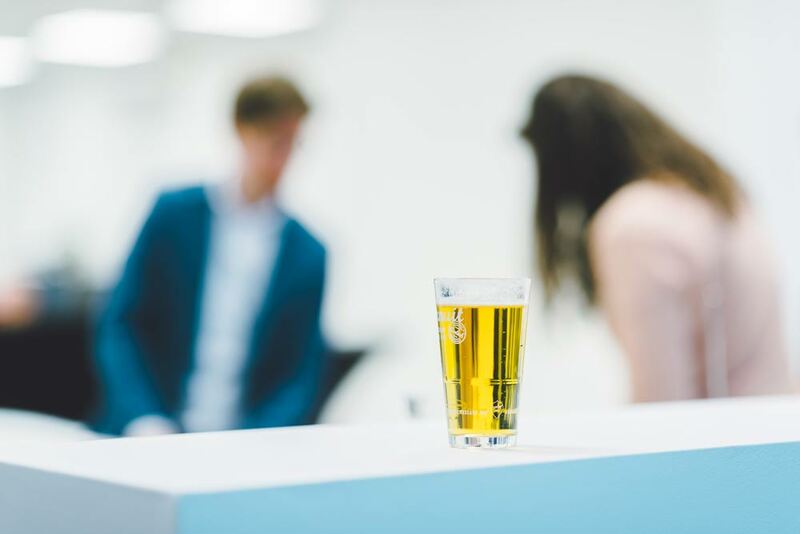 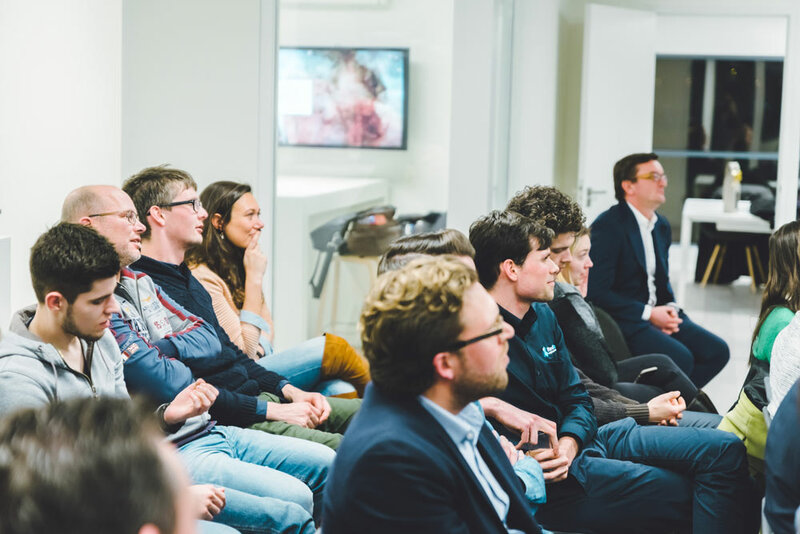 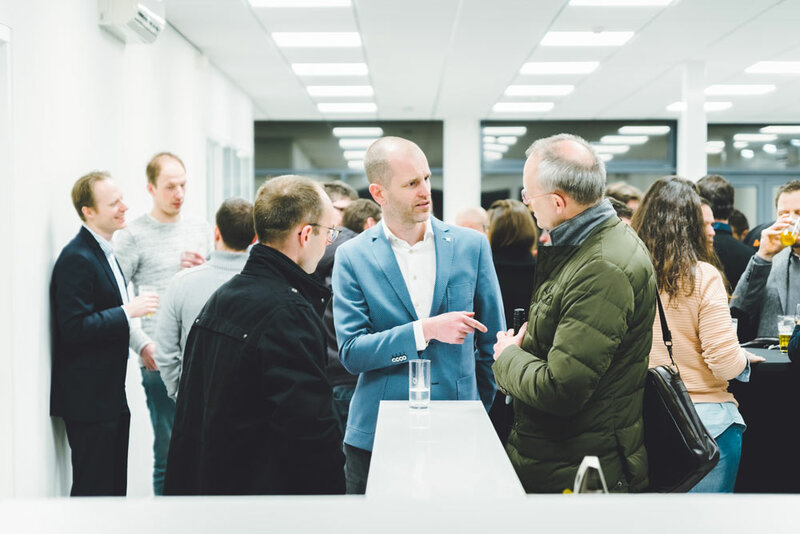 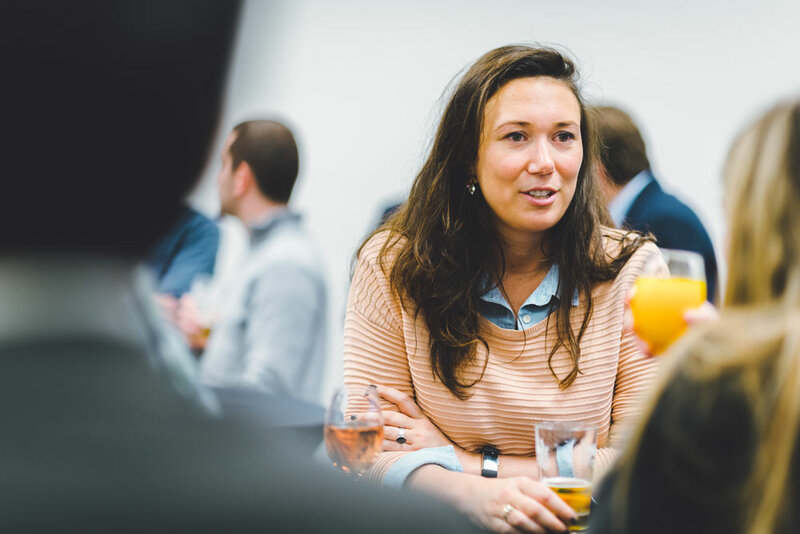 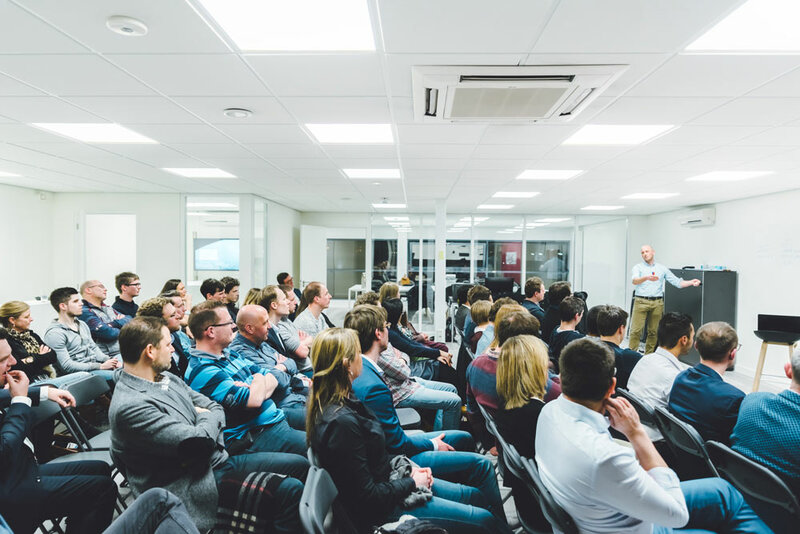 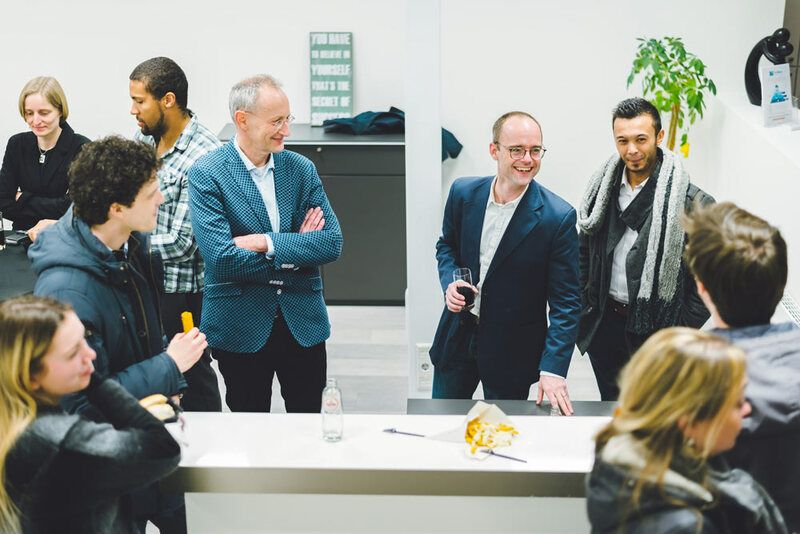 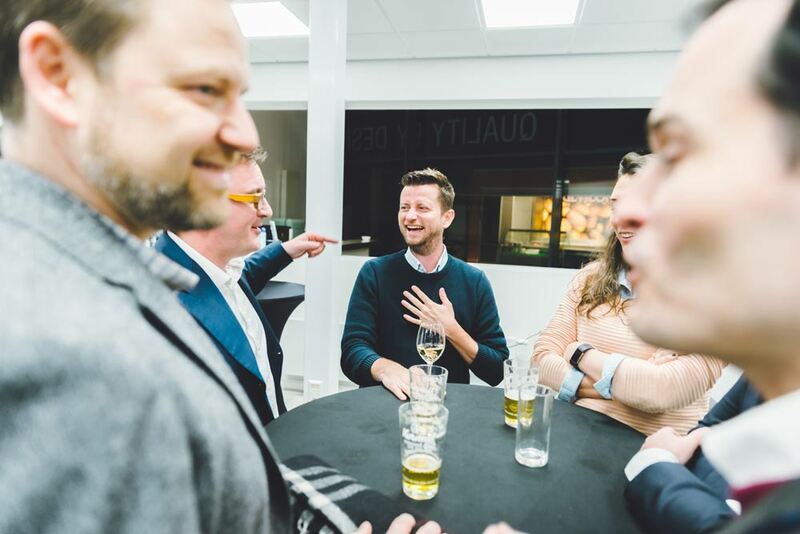 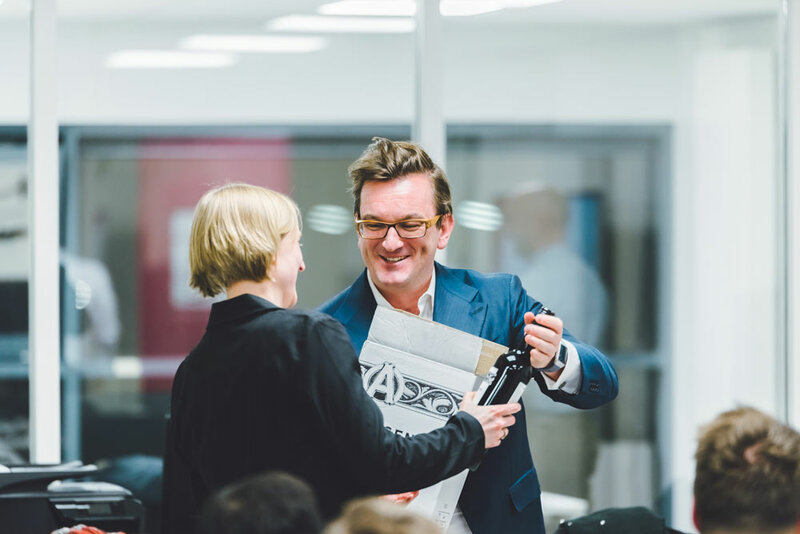 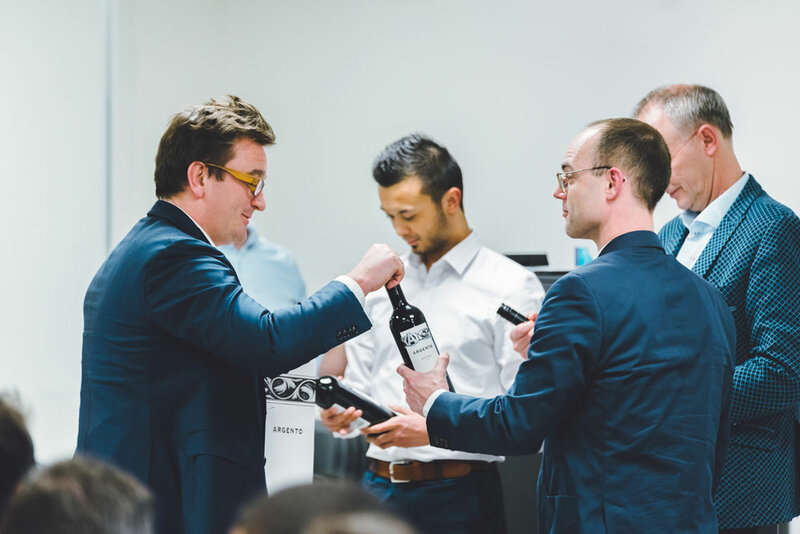 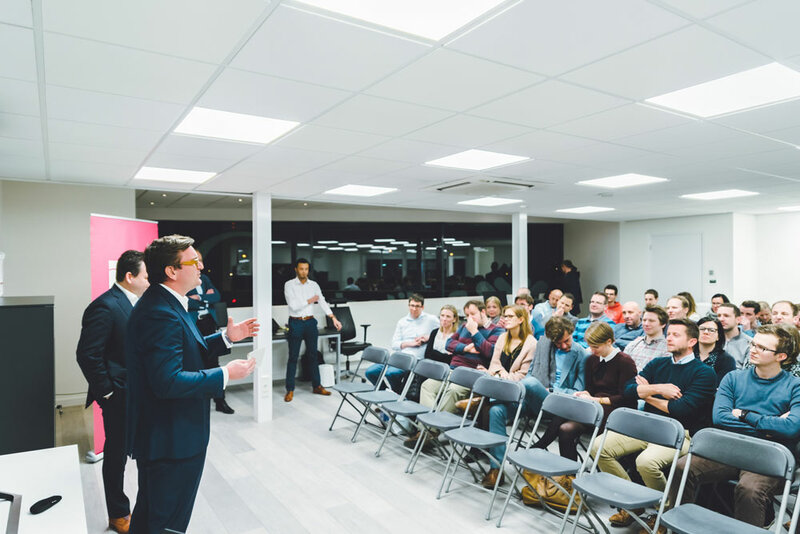 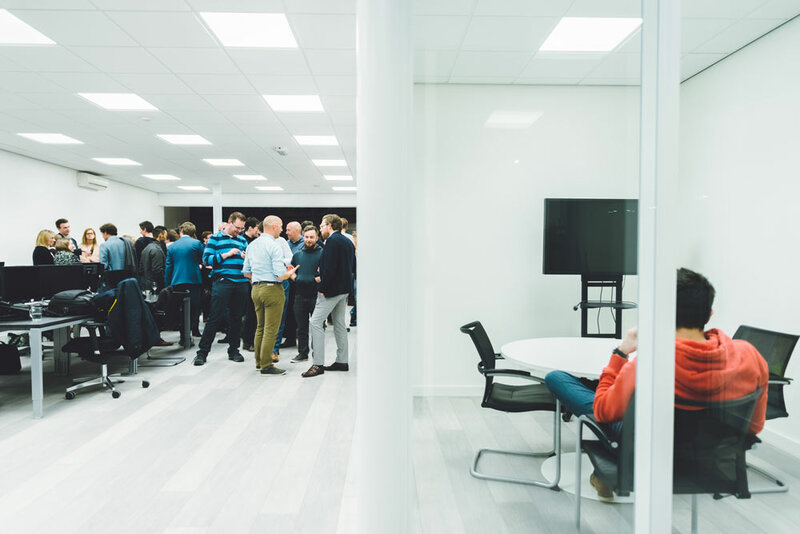 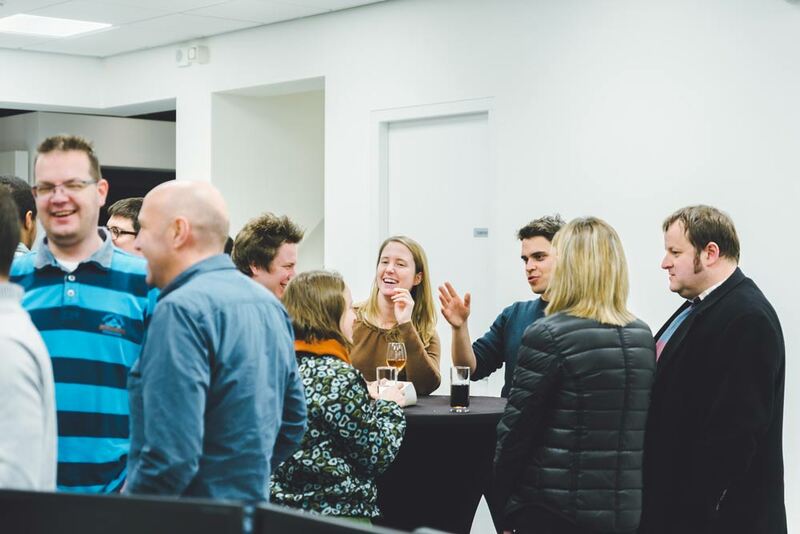 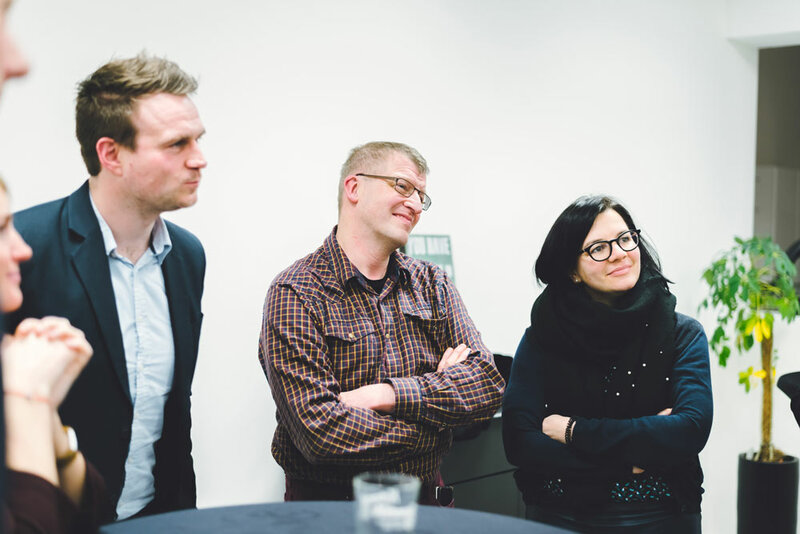 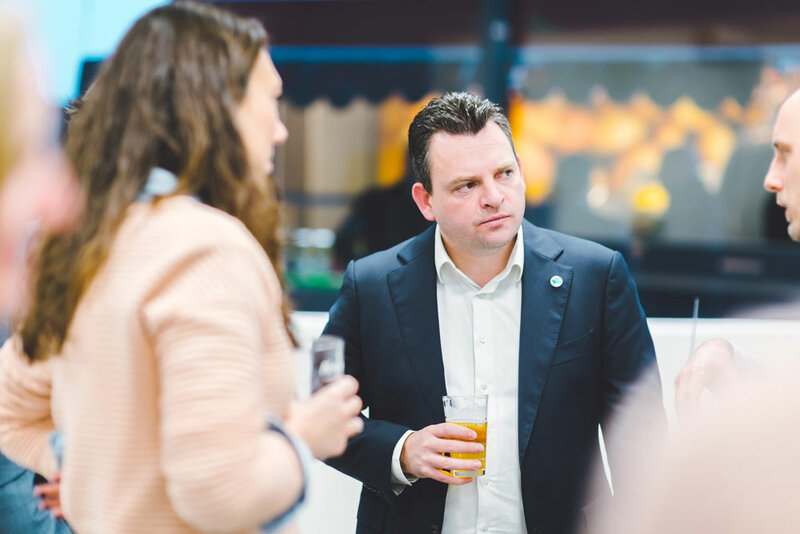 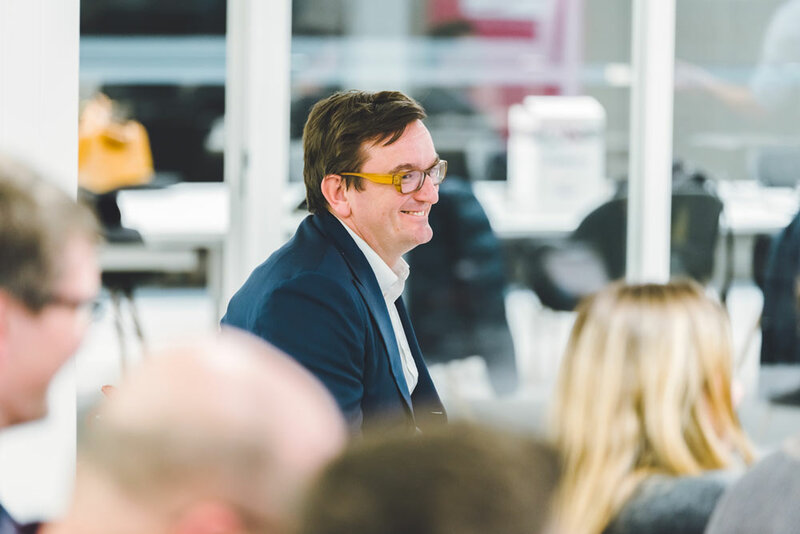 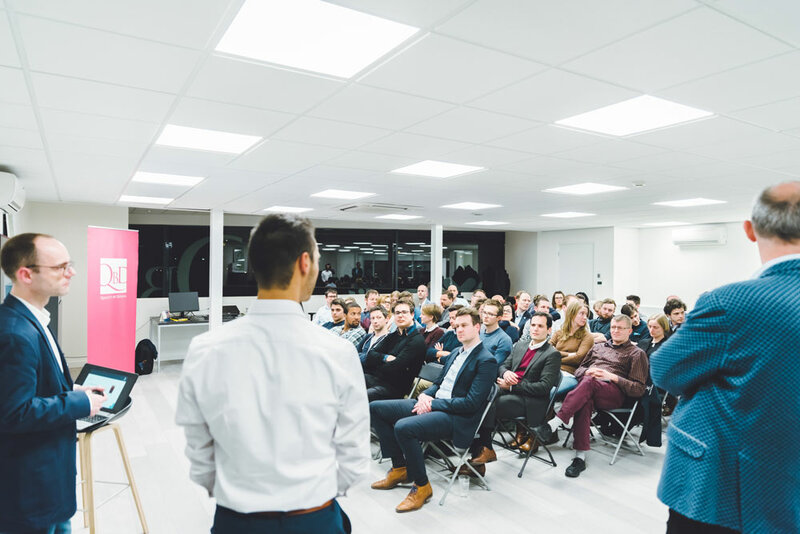 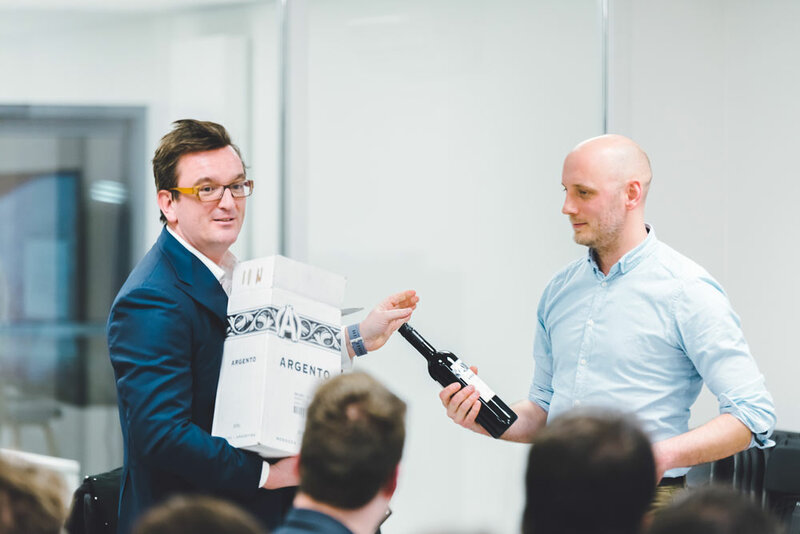 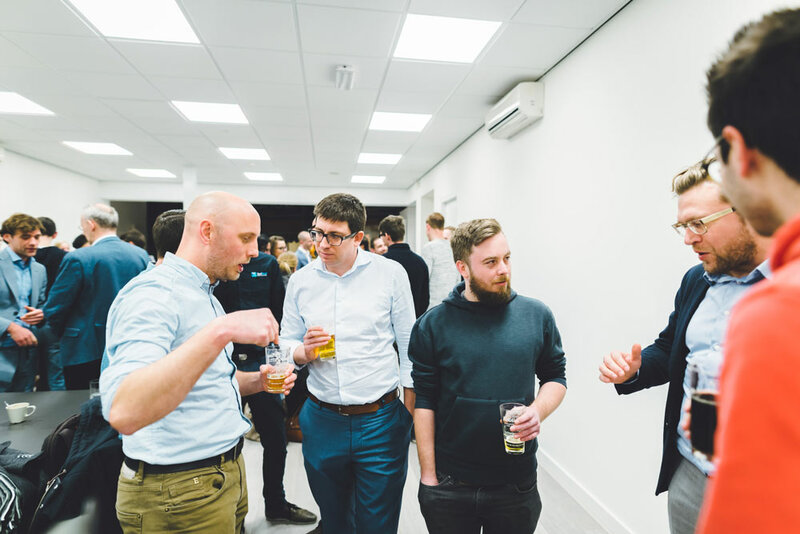 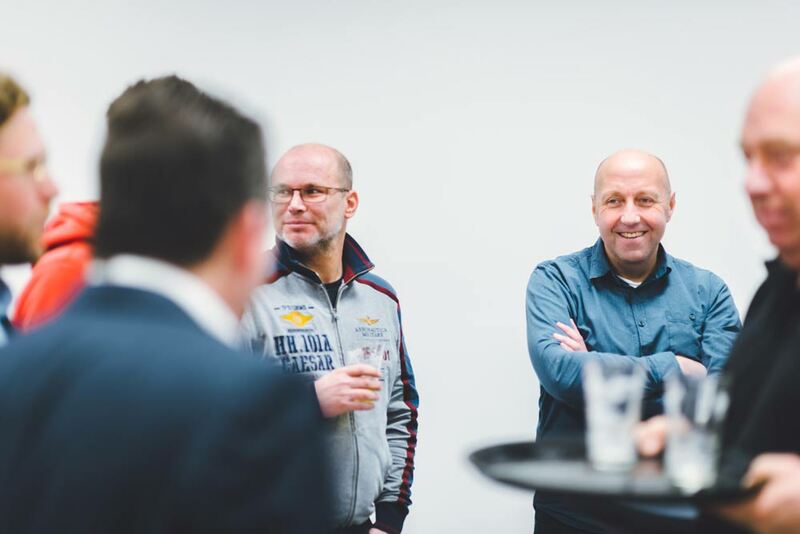 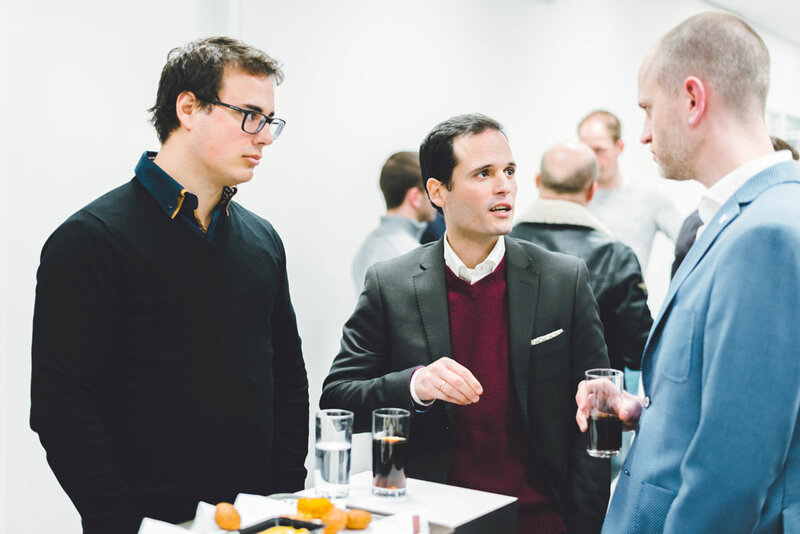 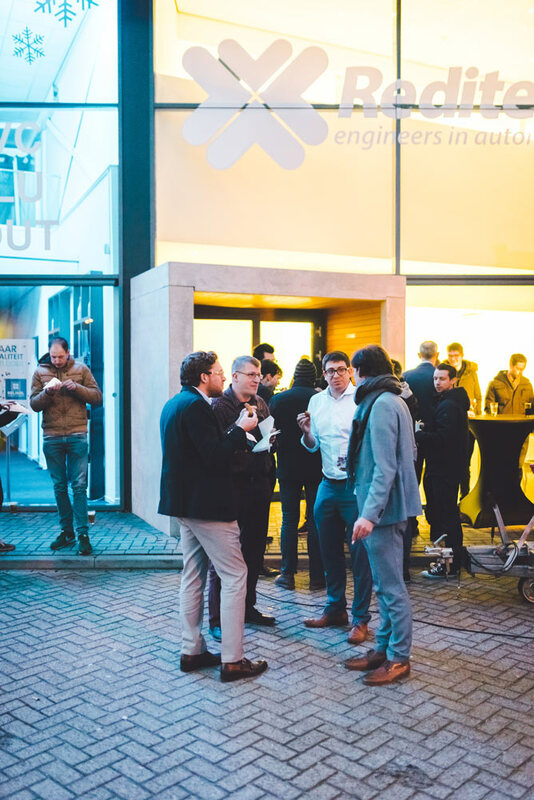 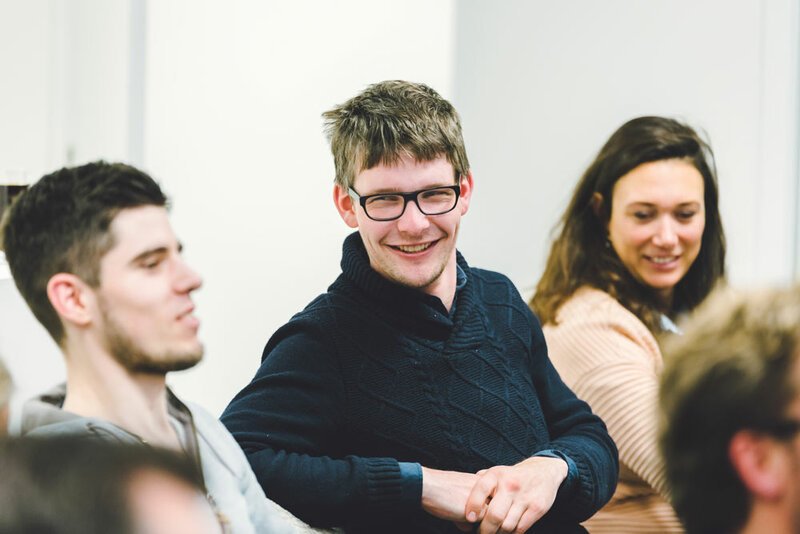 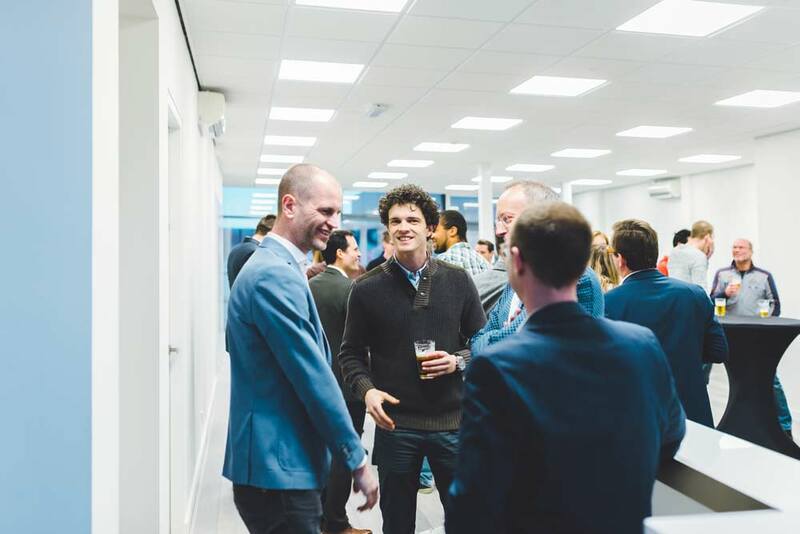 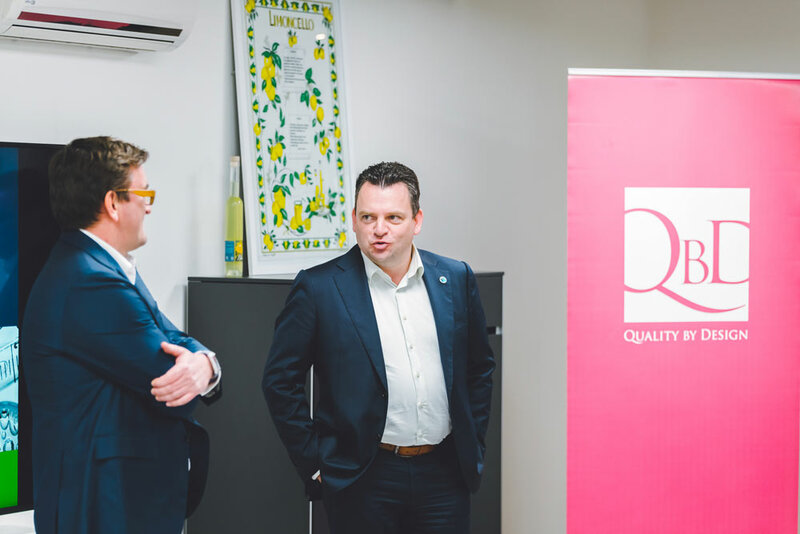 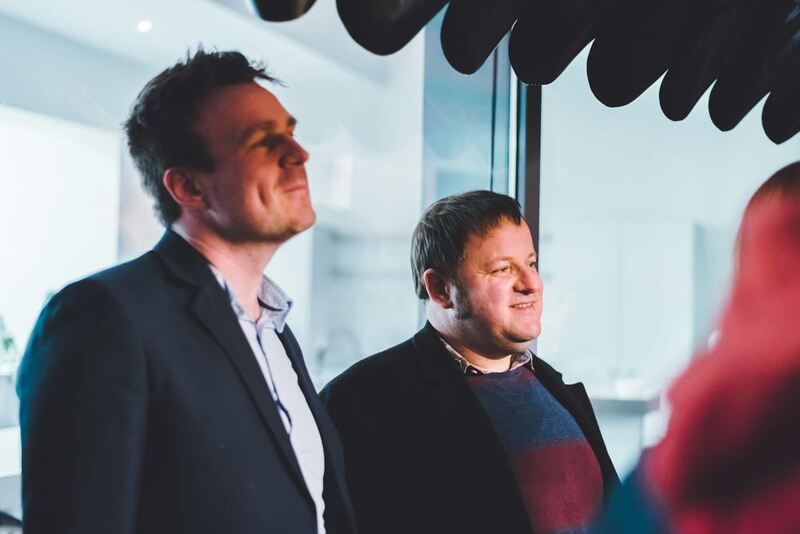 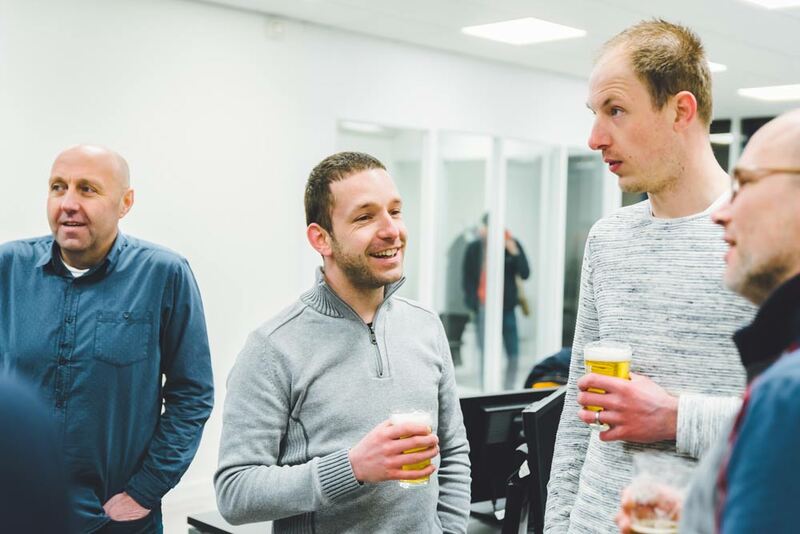 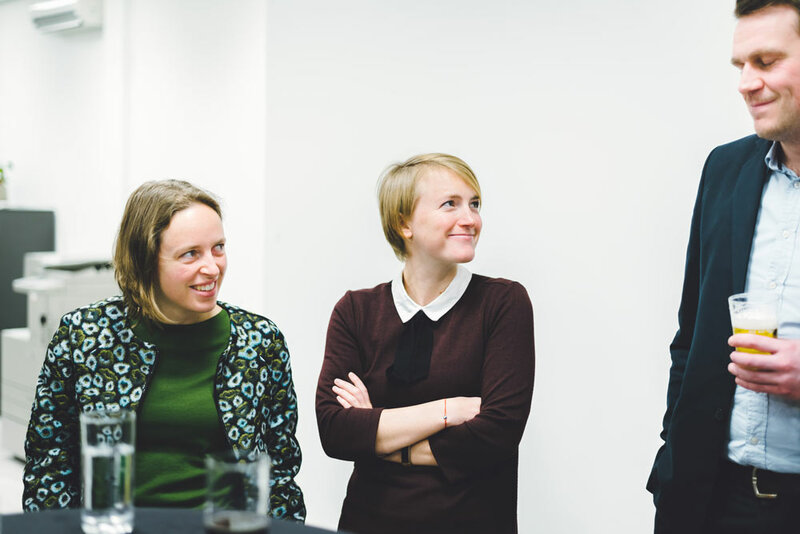 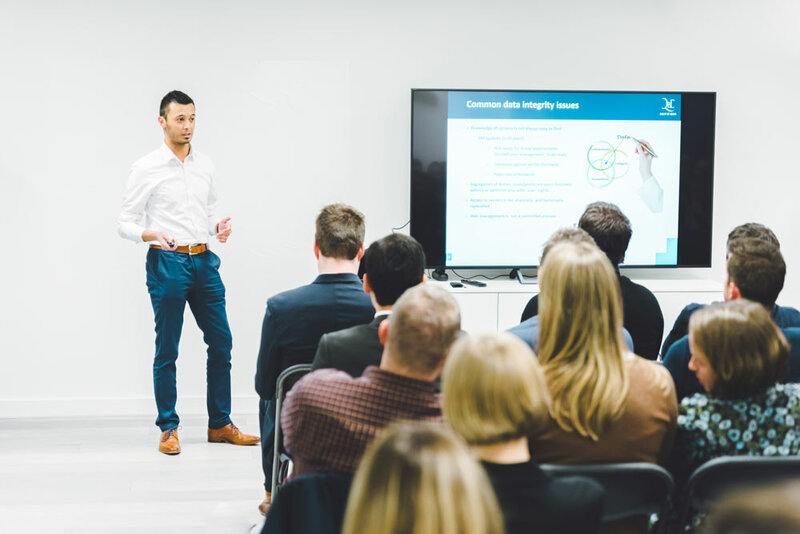 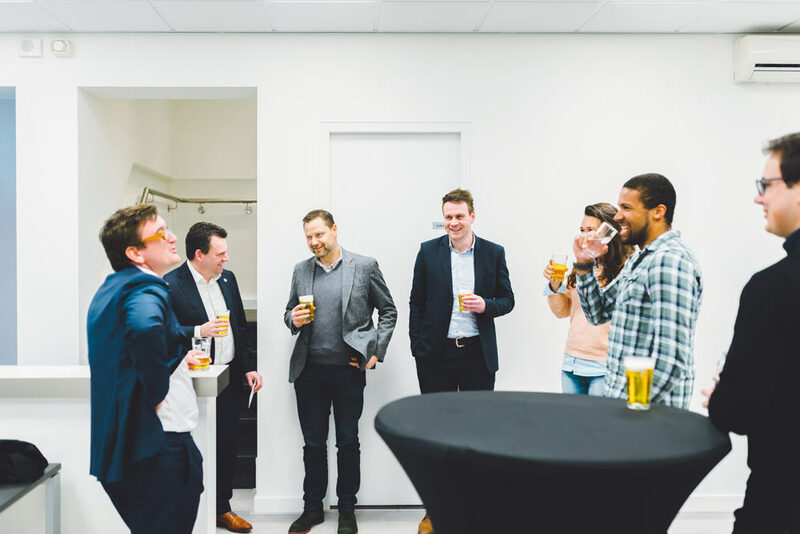 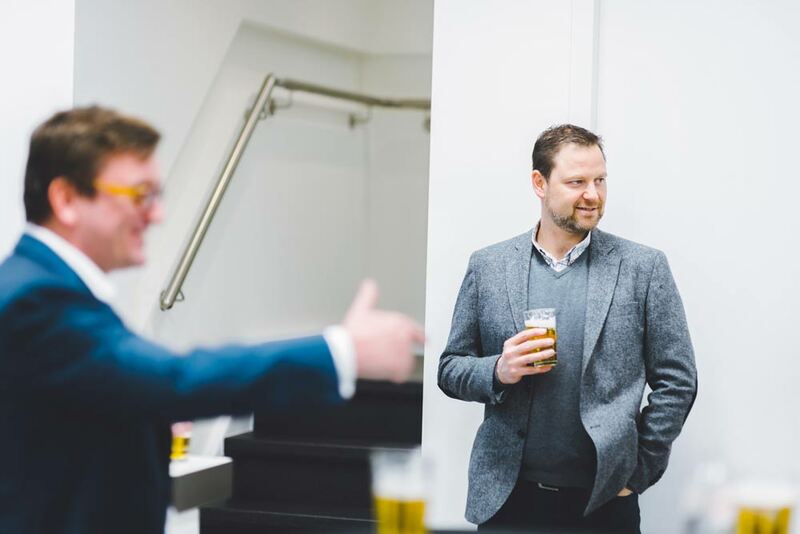 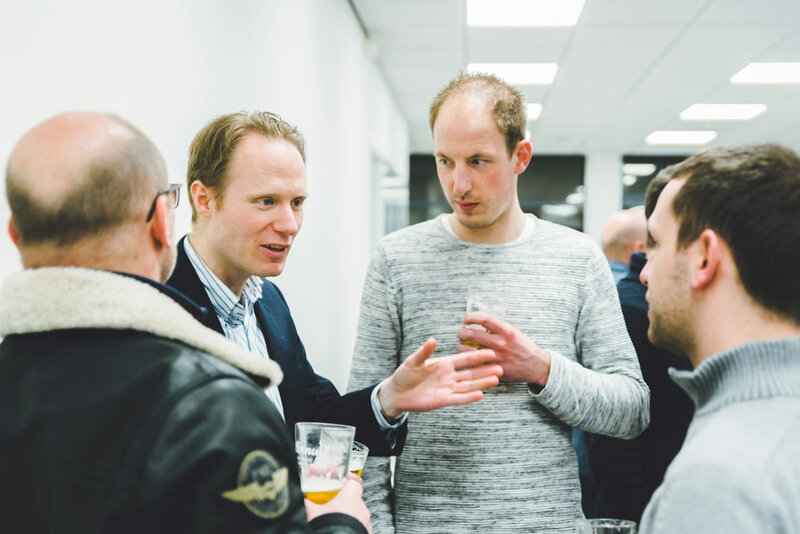 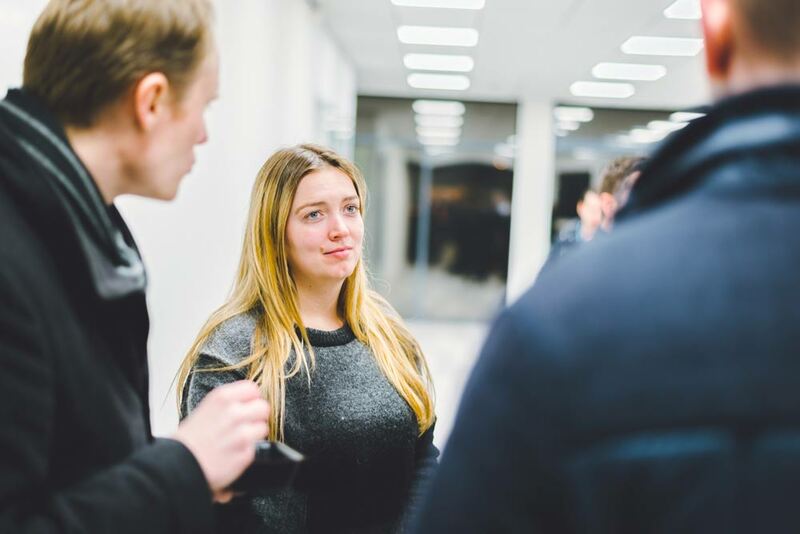 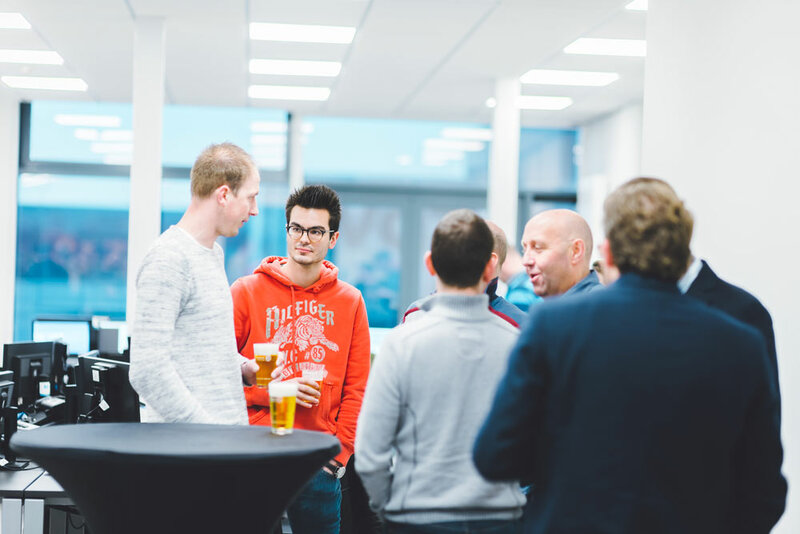 On 8 February, QbD’s Dutch branch organised an office-warming to celebrate its new offices in Breda. 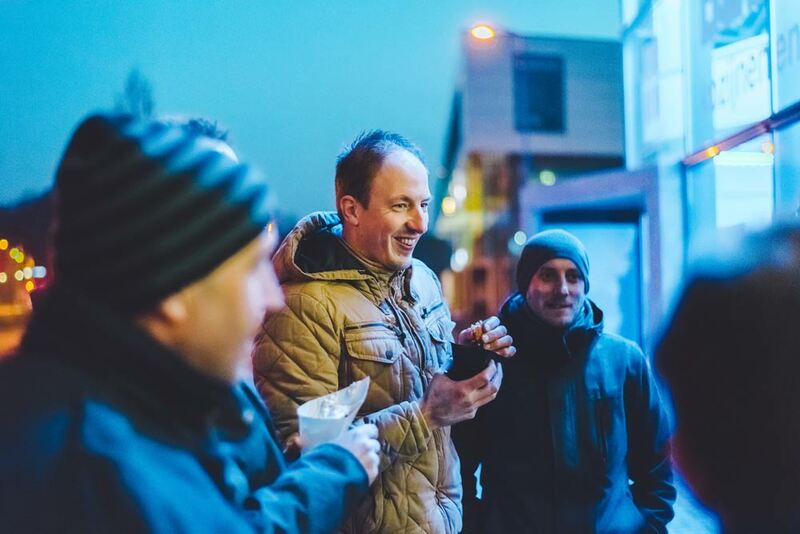 Although the evening was a festive get-together, no complaints about the noise were registered. 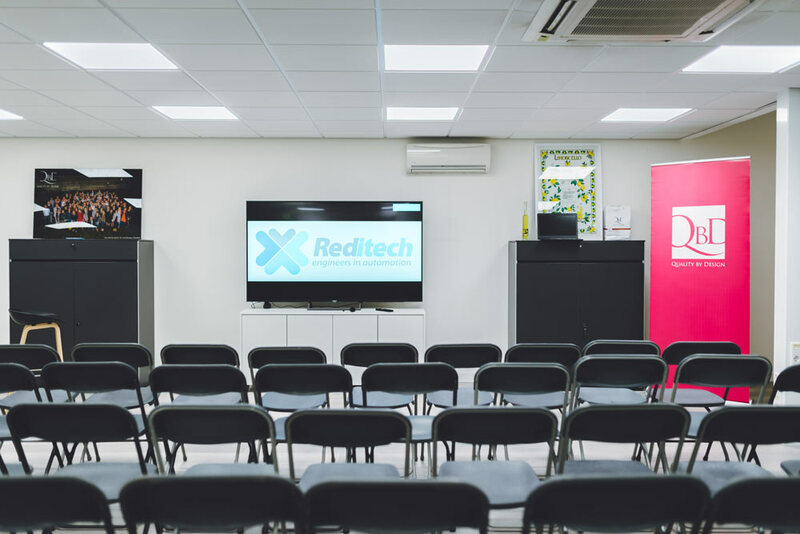 This wasn’t a surprise, as downstairs neighbour Reditech is a valued partner and co-organized the party. 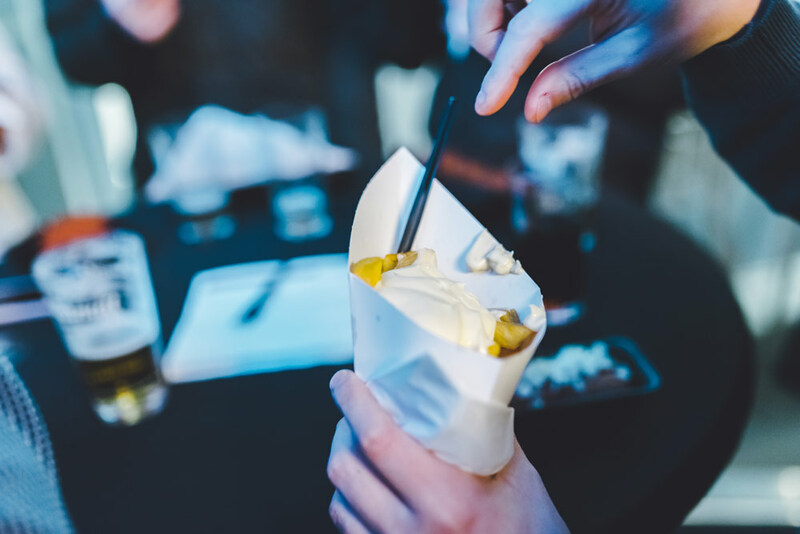 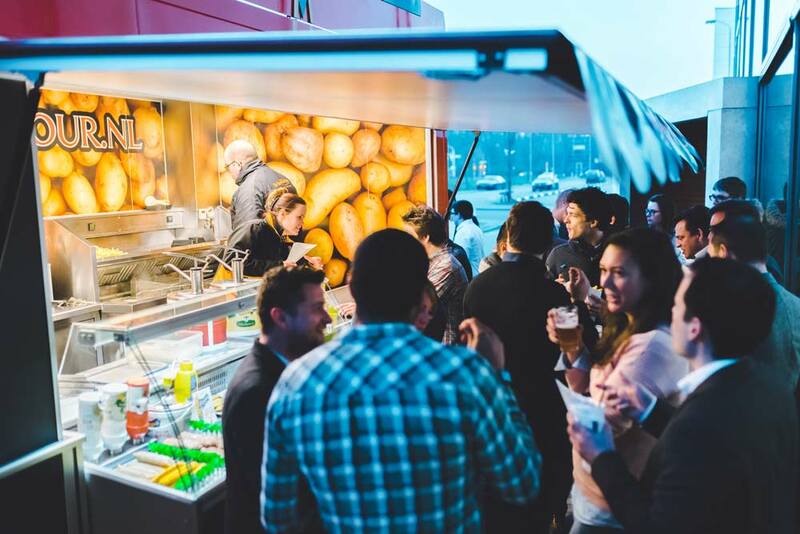 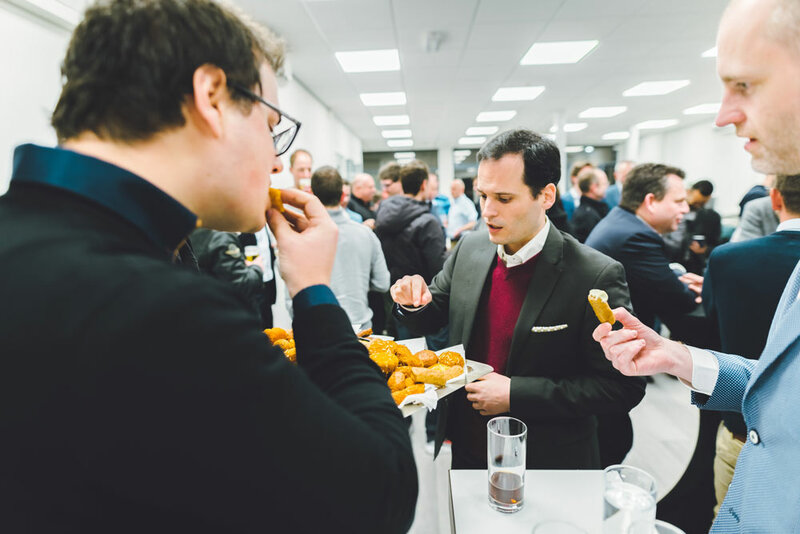 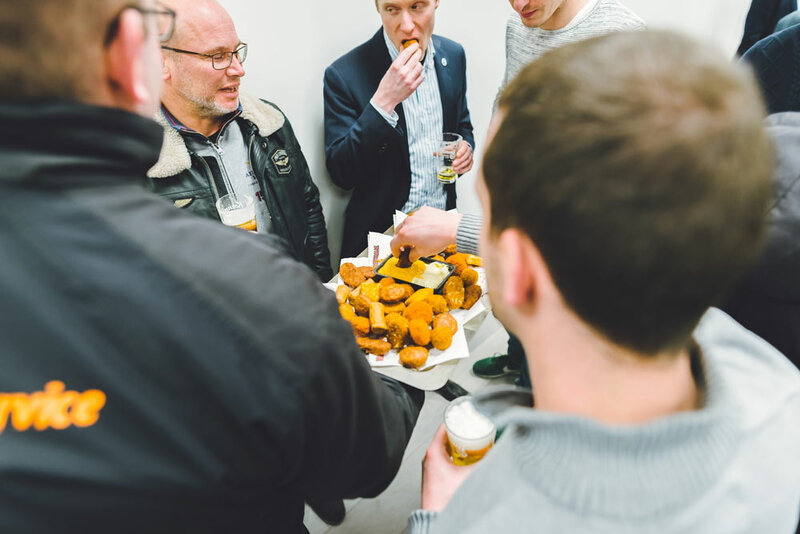 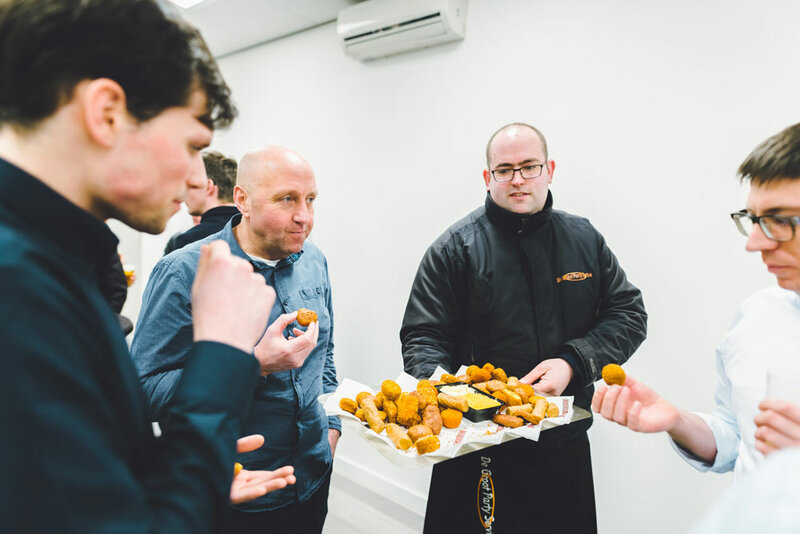 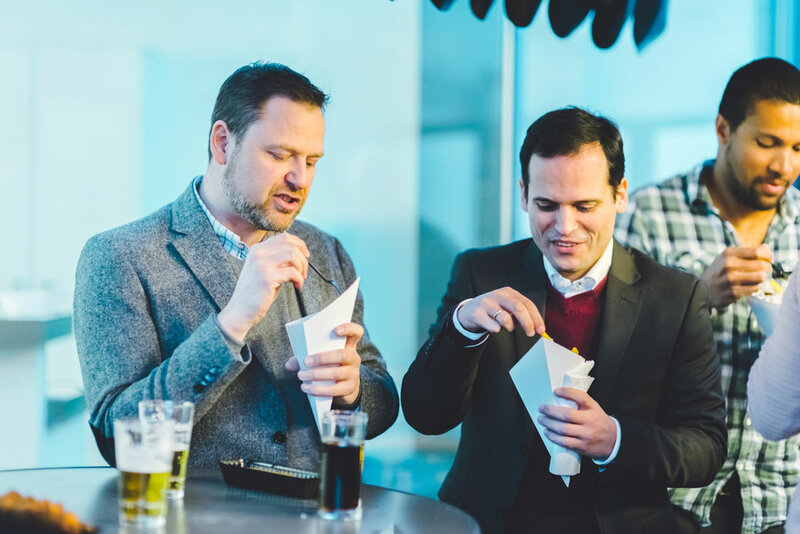 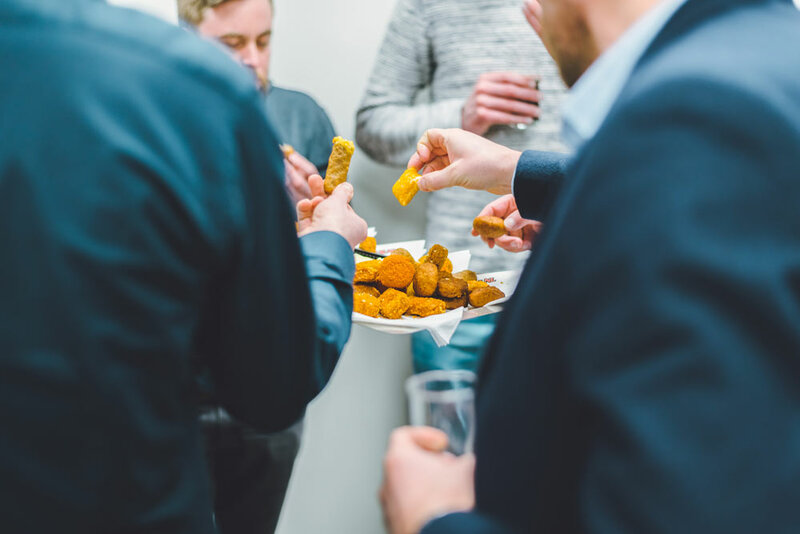 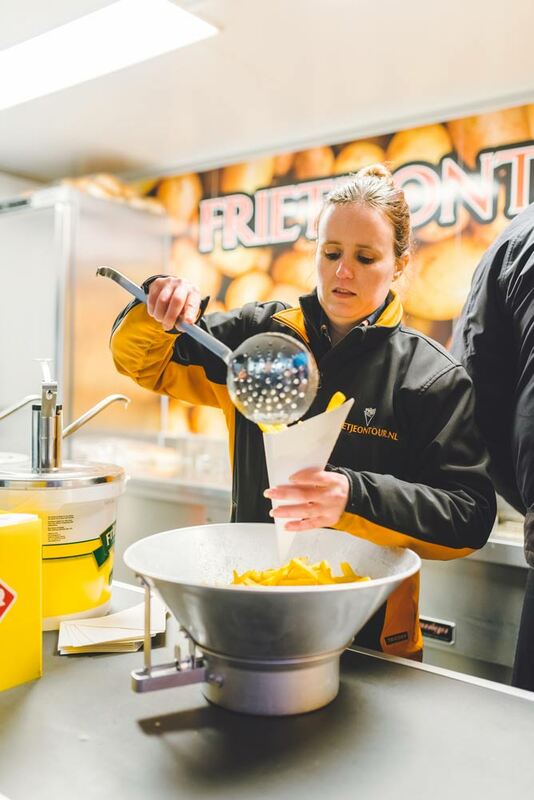 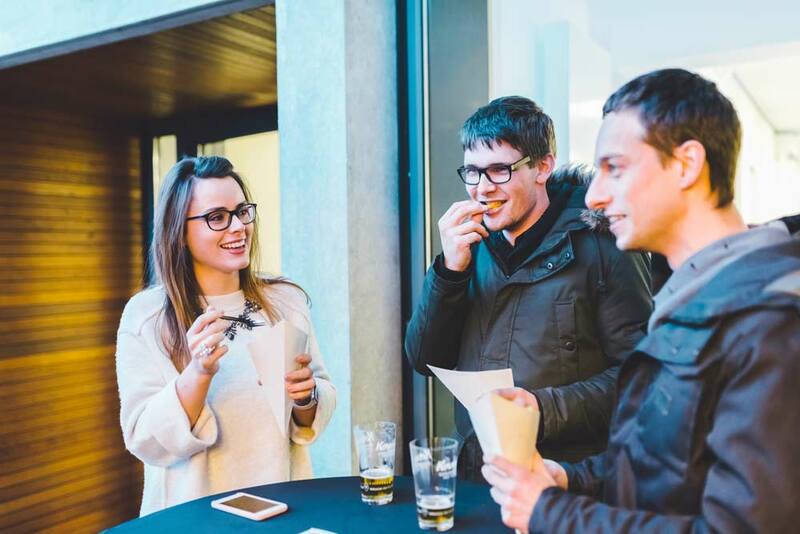 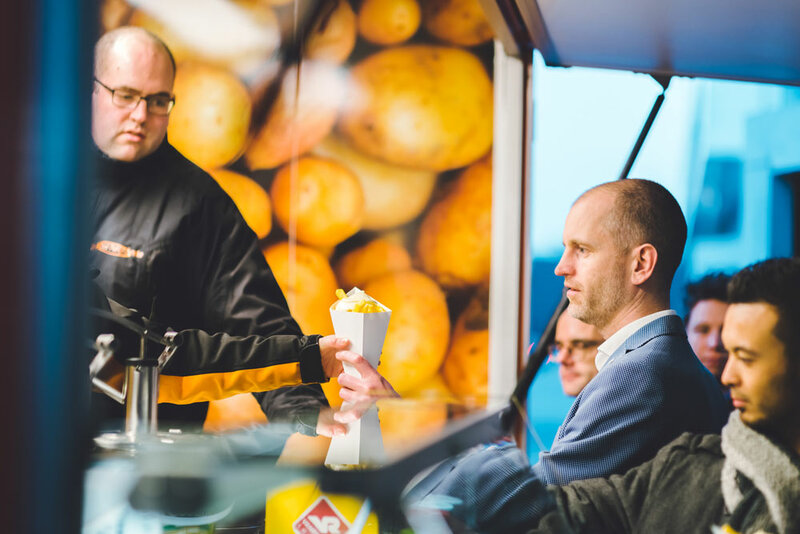 The evening kicked off with a tasty reception, flavoured by a typical ‘frietkraam’ (chip shop) that offered both Belgian fries and Dutch snacks. 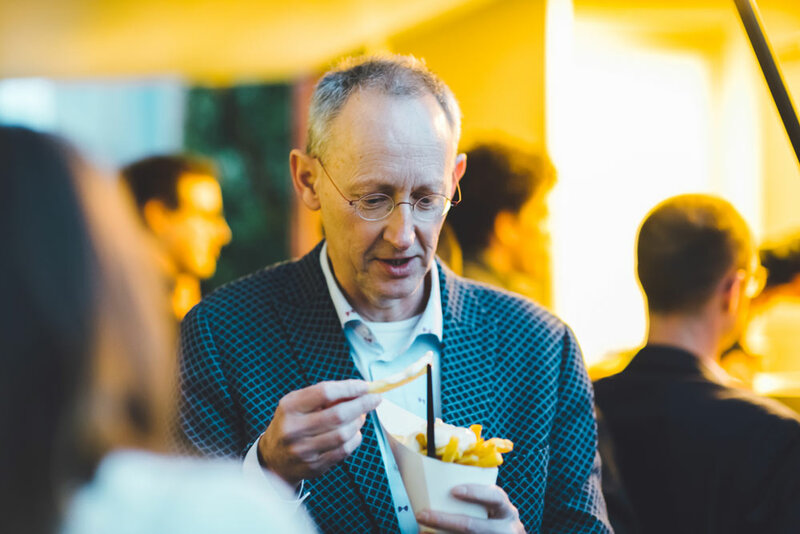 In short, the best of the Low Countries. 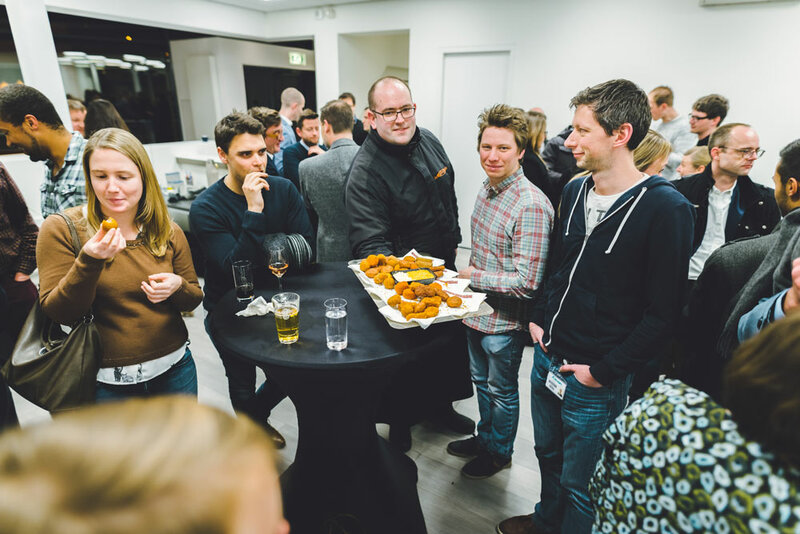 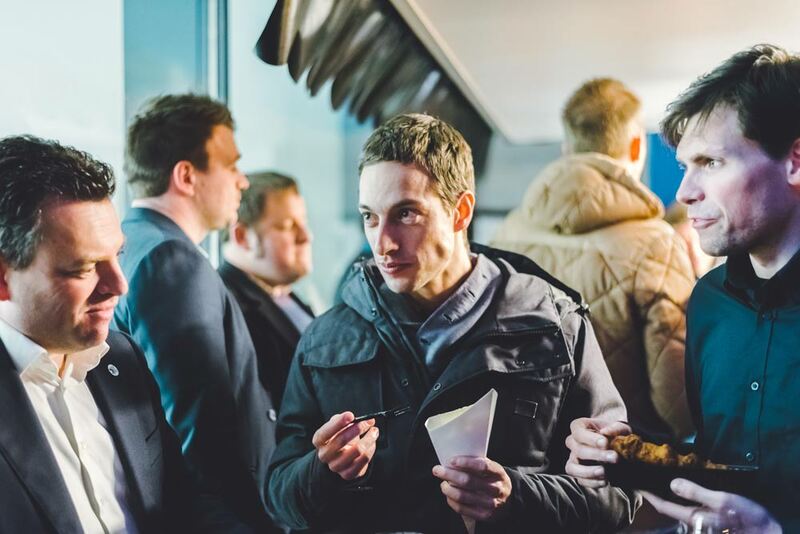 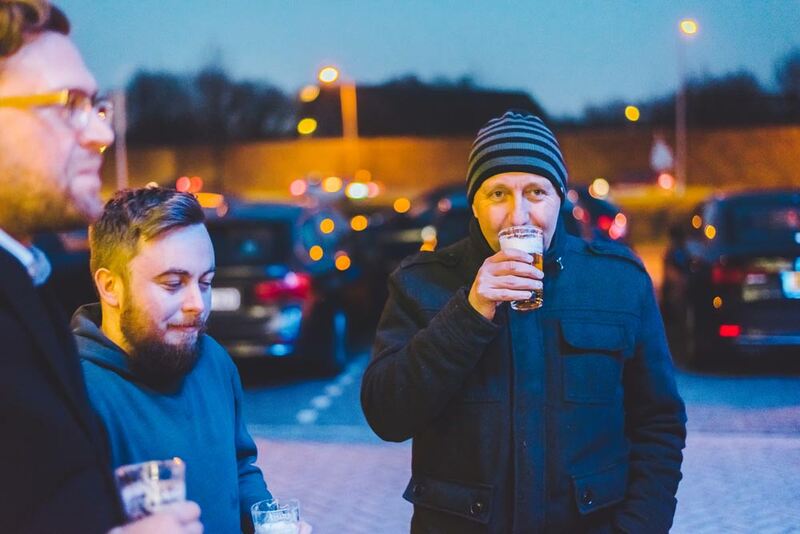 Once the bellies were full, it was time to feed the minds during the very first ThinkTank session in the Netherlands. 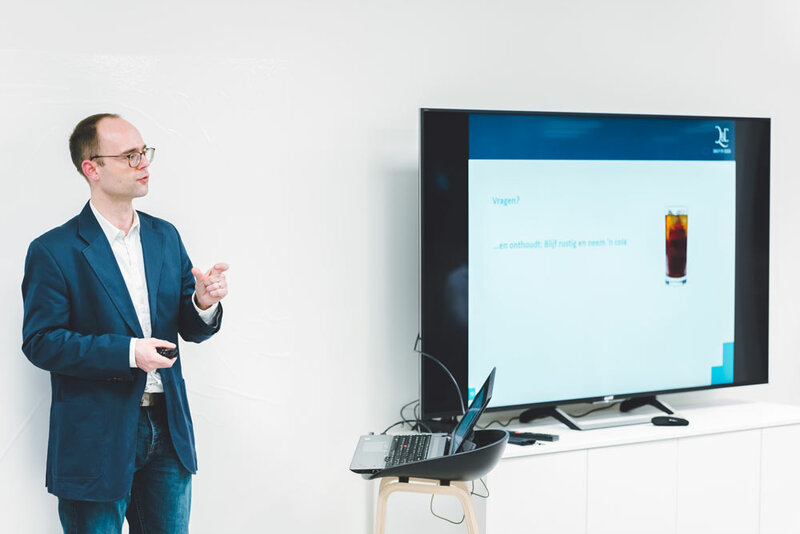 First off, Dutch colleagues Allon, Lykle and Niels presented their challenging project on Computer Software Validation (CSV) and data integrity. 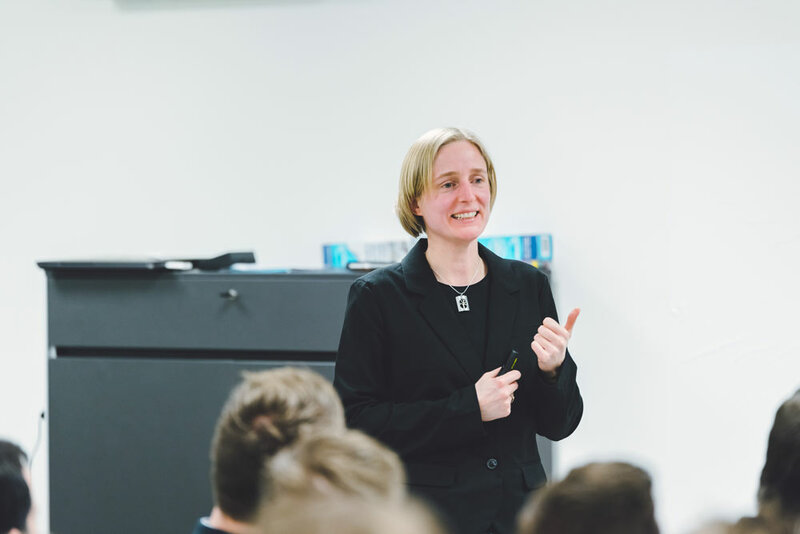 Next, Elke Bocksteels shone a light on ANSI/ISA-88 guidelines in batch production processes. 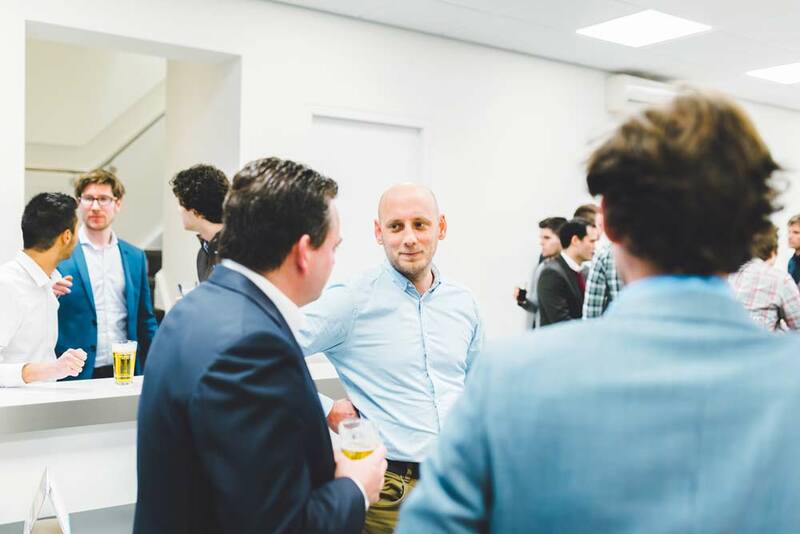 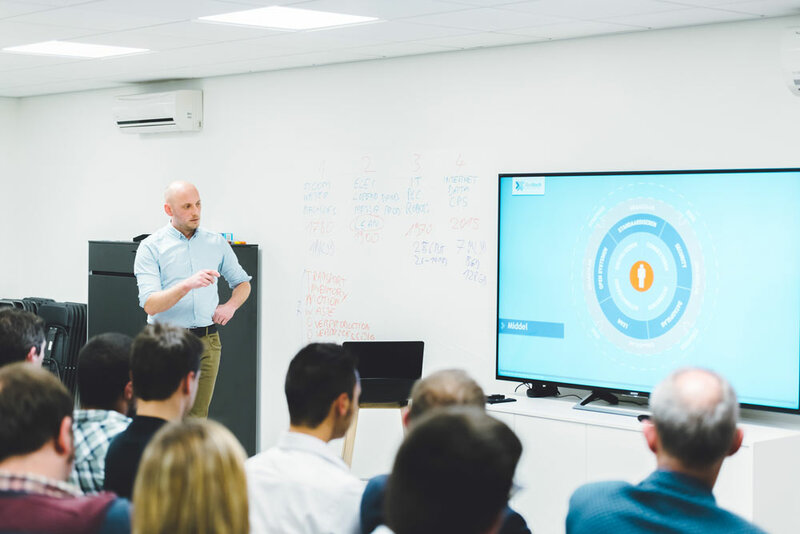 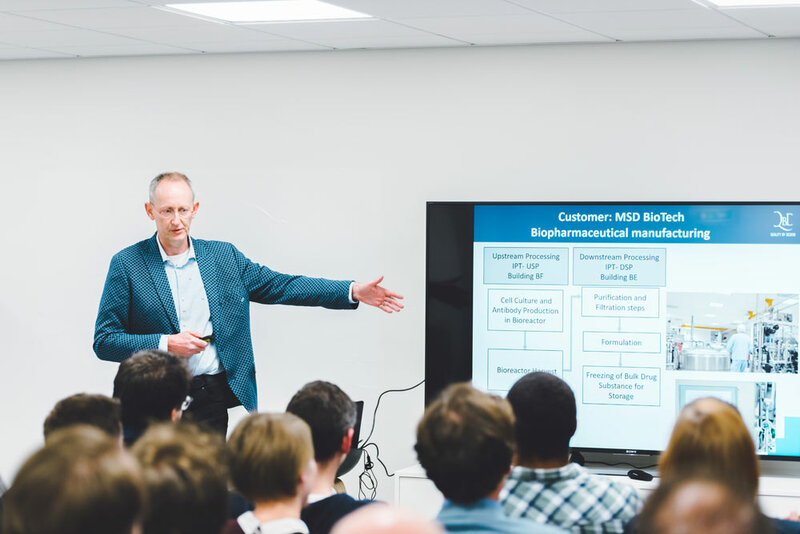 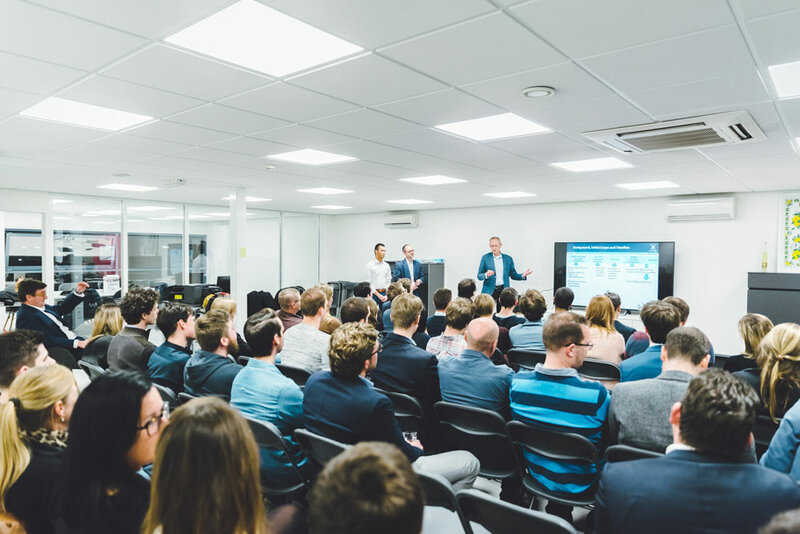 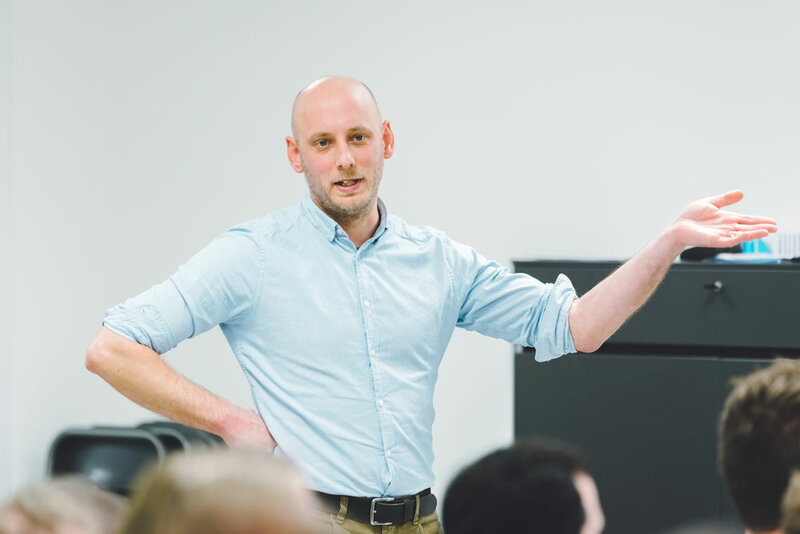 Last but not least, Stijn of Reditech concluded the evening with an insightful presentation on Industry 4.0. 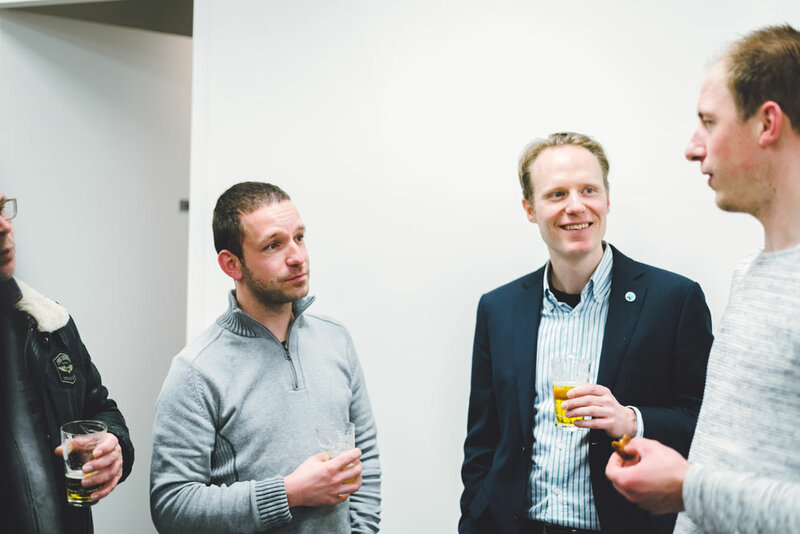 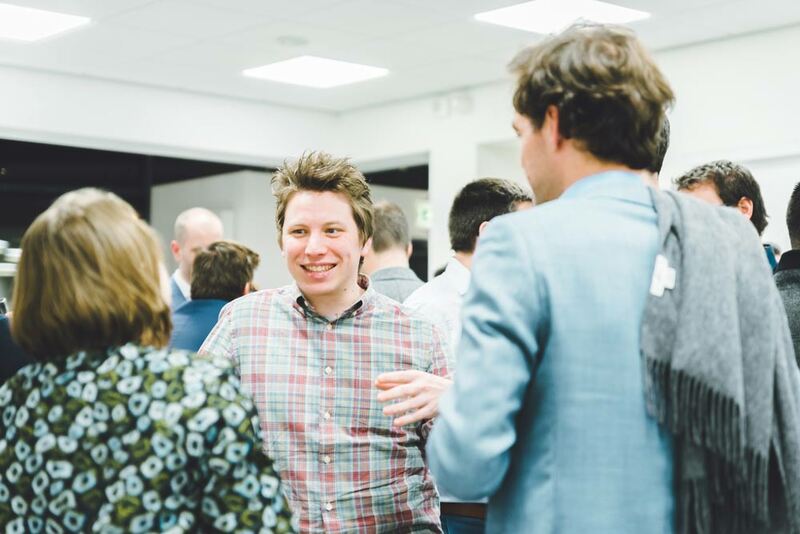 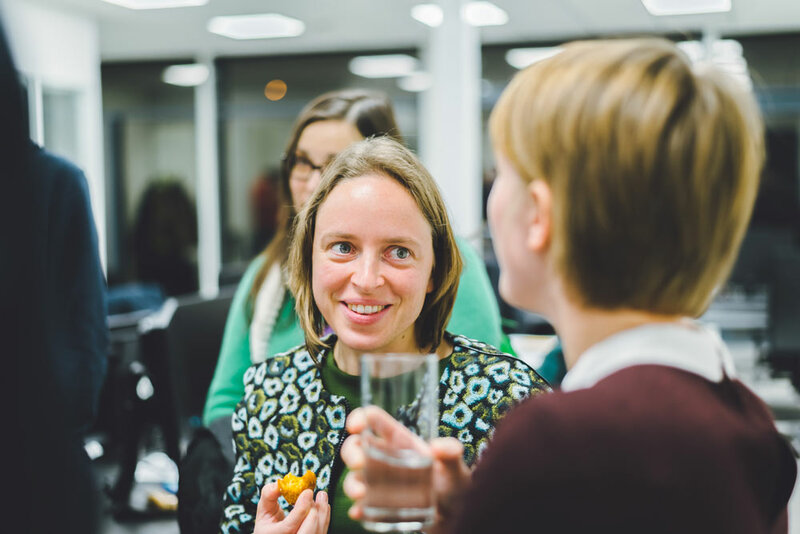 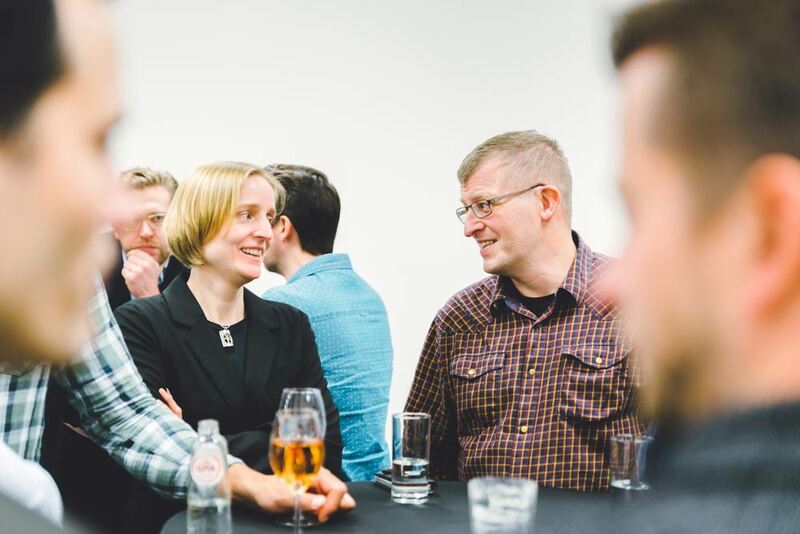 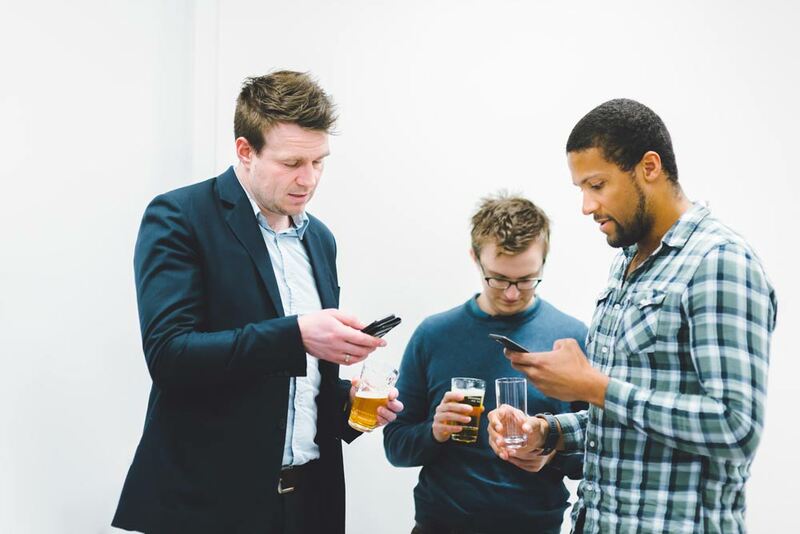 After the inspiring ThinkTank, the enthusiastic participants enjoyed some more chats, drinks and snacks. 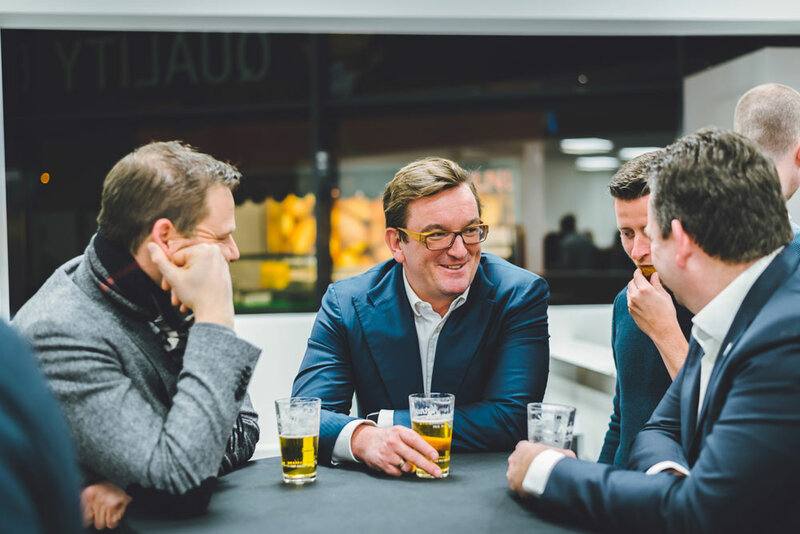 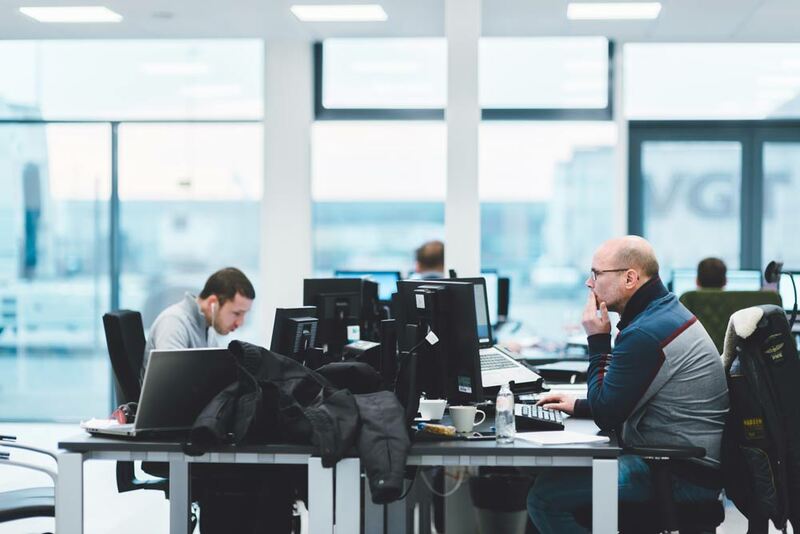 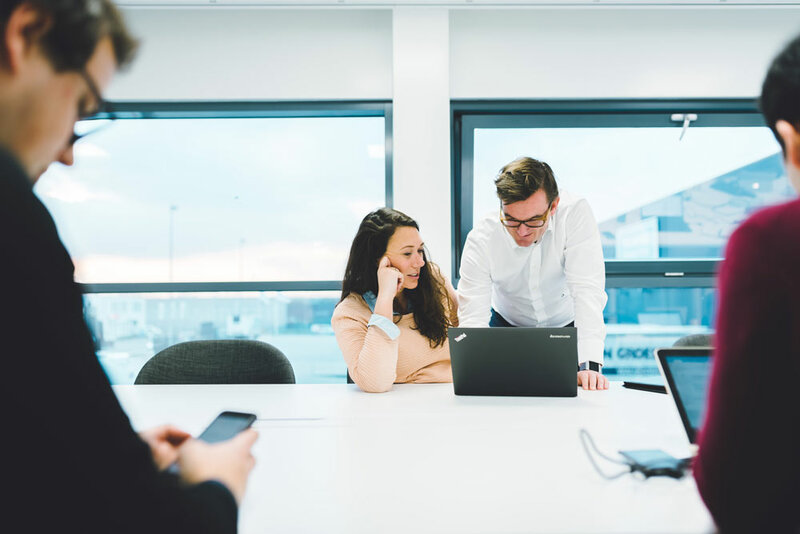 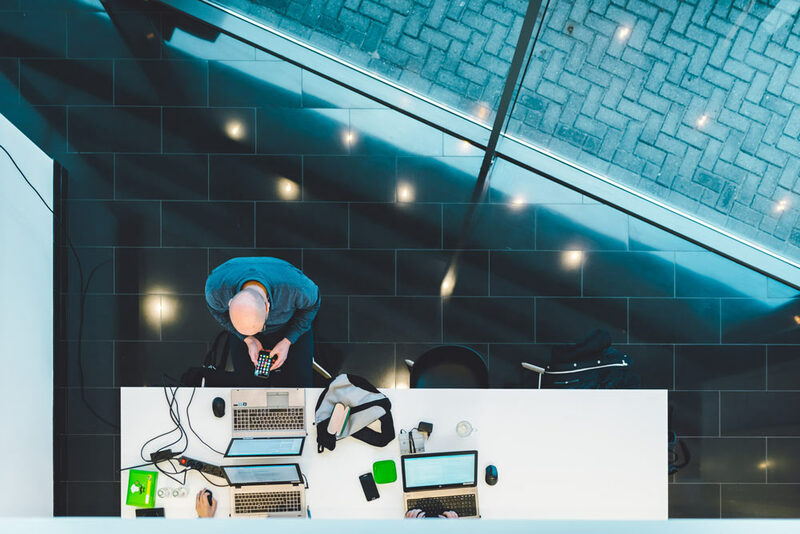 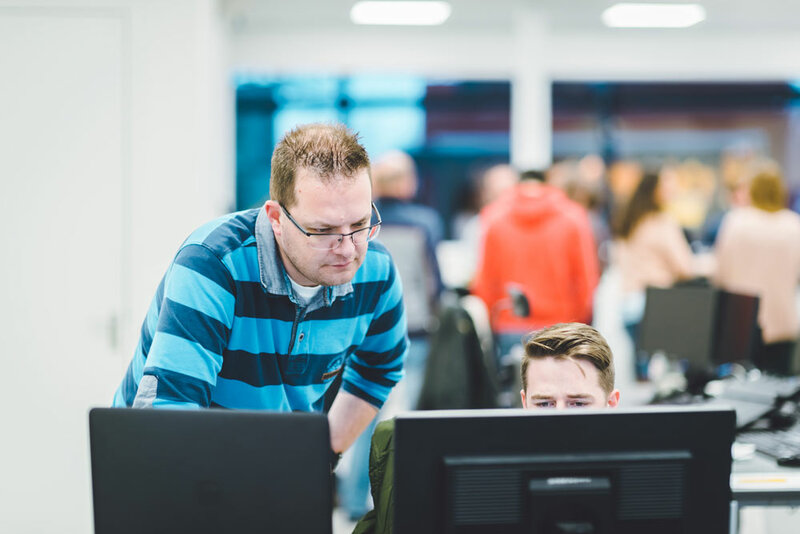 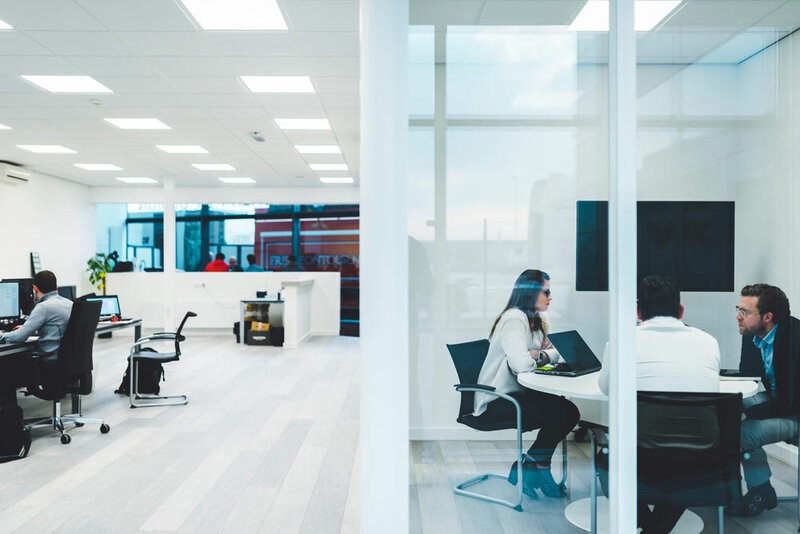 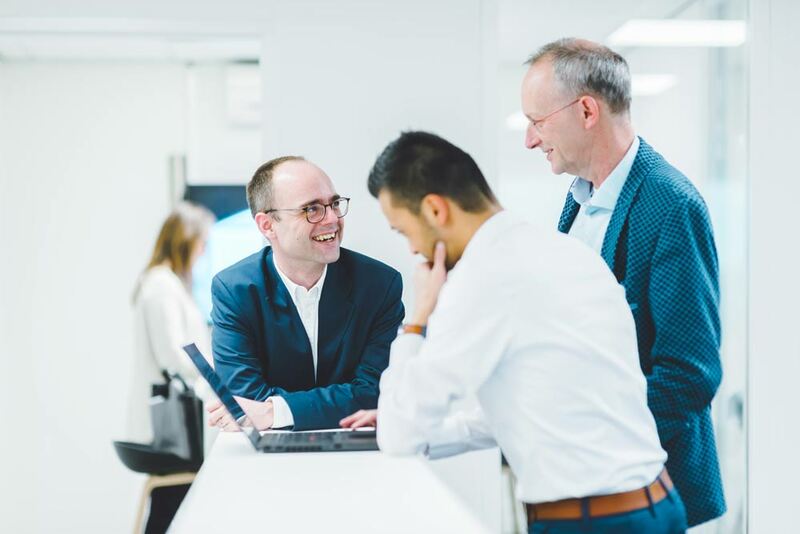 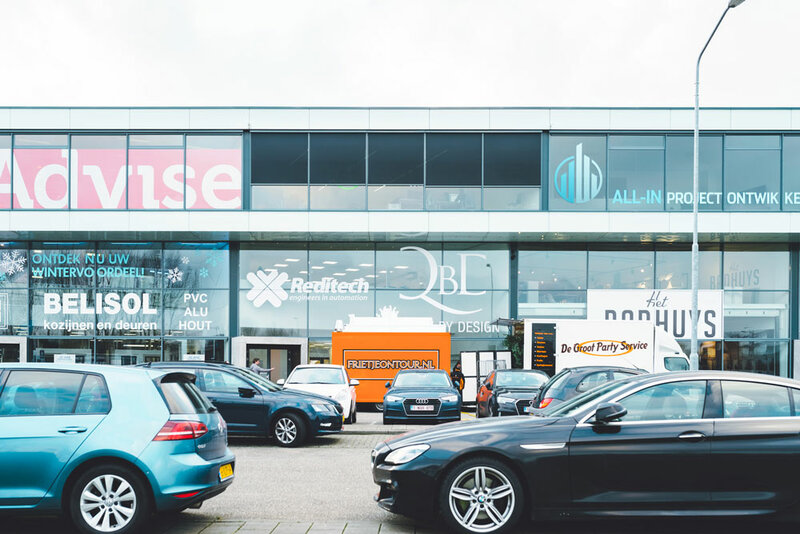 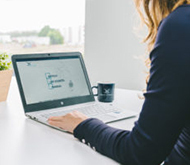 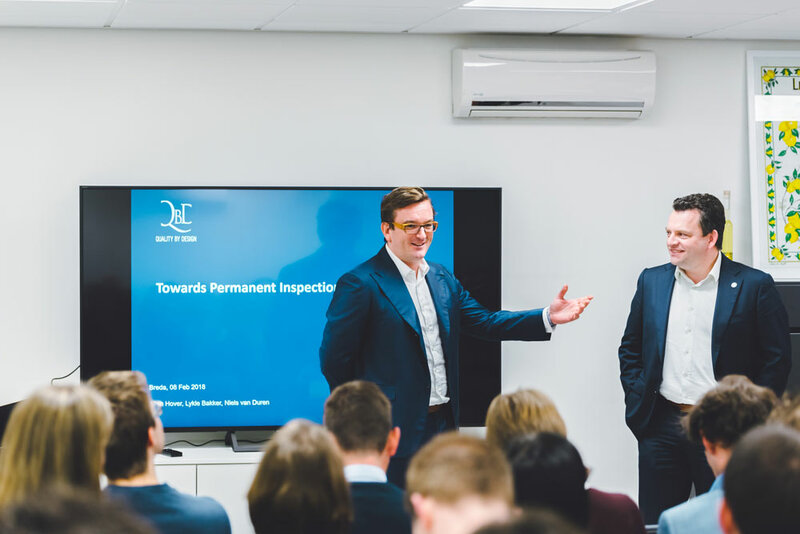 One thing’s for sure: the new offices underline QbD’s ambitions to further grow in the Netherlands. 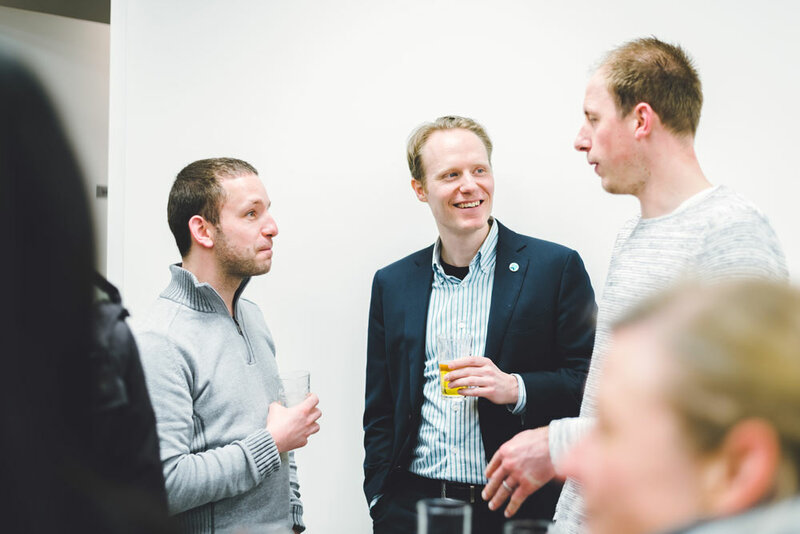 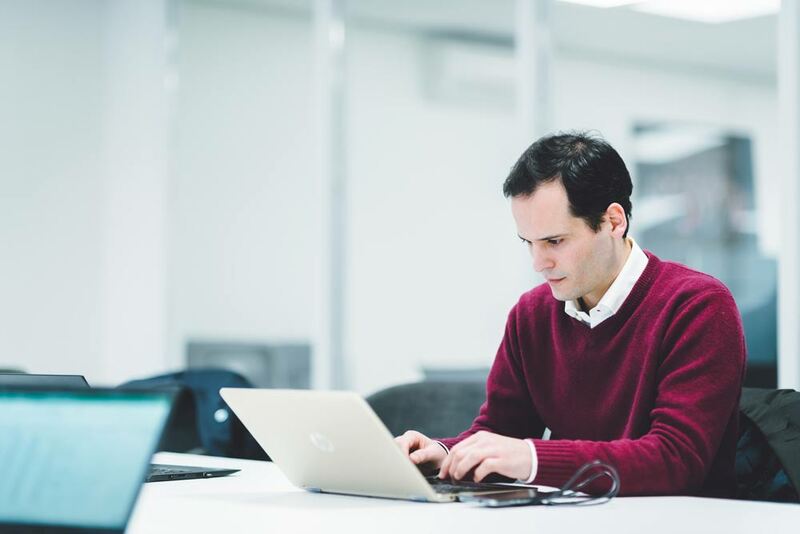 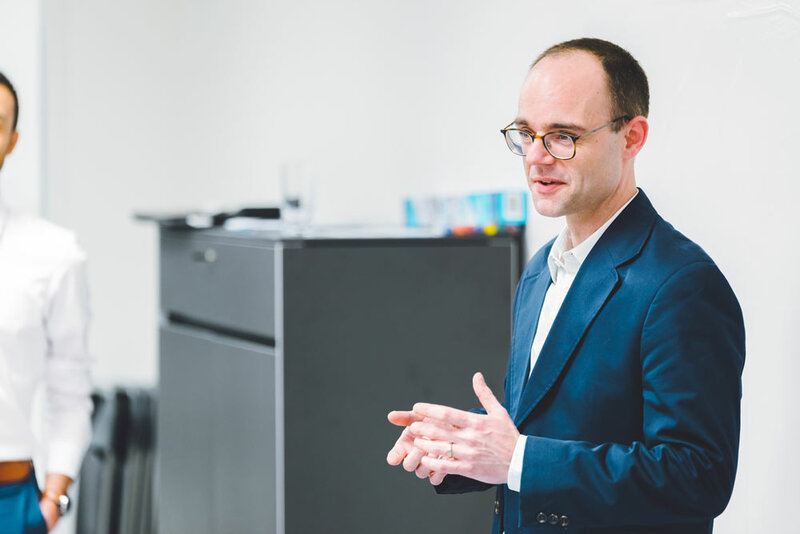 Lead by Thomas Spanjers, the Dutch team is already working on some nice projects, with many more to come.